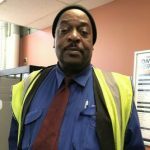 Patric joined Rolling Strong and looked at the program when his company announced they were offering a driver wellness program. He wanted to see if he could add anything to his program. 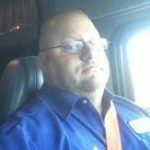 He is an OTR driver and has been driving for 24 years. He has always been active and skied when he was younger. 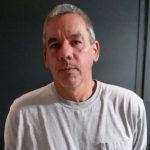 In 2005 he noticed that when he went home and tried to walk with his wife and dogs, he was out of breath and had trouble keeping up. Once he made a decision to change his lifestyle, “the hardest part is getting my running shoes on”. Once those are on, he’s up and out the door. He’s ran all over the country since then, and tries to use TA/Petro gyms when he can. His routine is 20 minutes of cardio and 30 minutes of weight. program. She lost 5 pounds in the first month of using the new App—and this was over the Thanksgiving /Christmas Holiday! some weight. She says it is not hard to use, you just log your food, sleep and exercise. recommendations to exercise ideas to inspirational reading recommendations. 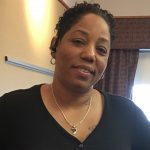 Meeting Coach Norie helped me to realize that I have be proactive in my health decisions in order to be a better employee and a better person overall. I would like to thank Rolling Strong for implementing this wellness program. I have found all of the information offered to be very helpful. Thank you for all your support in helping me stay in shape. I found the Rolling Strong Wellness program very helpful, especially the water intake and meditation portion of the presentation. Before participating in this program, soda was my choice over drinking water. After the W.E.L.L talk presentation I refrained from drinking so much soda and started consuming more water each day. My body feels more refreshed. I have also implemented mediation into my day and have noticed I am much calmer now that I have started a quiet meditation practice. My eating habits are good but after the Rolling Strong W.E.L.L talk presentation, I realized that I need to increase my protein and fiber intake and lower my carbohydrate intake. I also found that meditation is a good stress reliever. My first day driving and taking my driver maneuverability test I was very nervous and failed the test. 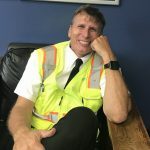 Before my second attempt I spent some time meditating using the tools Coach Norie suggested and I was able to let go of my bad nerves and passed the maneuverability test. I was very impressed with the meditation techniques Coach Norie shared during the W.E.L.L. talk presentation. Meditation techniques helped to calm us when we felt stressed. I believe this will be highly beneficial in the future. Thank you Rolling Strong for implementing a wellness program that provided acceptance and assistance with my medical needs. Through proper instruction from Coach Norie I feel awesome. I have increased my water intake and have begun to implement better eating habits. It’s been 6 months and I’m still ‘Rolling Strong’ with Coach Cindy. I’m making healthier choices along with exercise and haven’t felt this good in a long time. Coach Cindy taught me how making small changes, one step at a time can really make a difference! Kevin has lost 10 lbs. with the help of Rolling Strong. Some of the changes made to help him achieve this weight loss out on the road consist of eating foods lower in calories and sodium. Kevin makes a conscious effort to read the nutrition labels of the food he is consuming. Another change that has help with his weight loss is reducing his coffee intake to only one cup of coffee per day and increasing his water intake. All these small changes has help decrease his blood pressure and his wife said he is no longer snoring as loud. Great job to this wonderful driver. 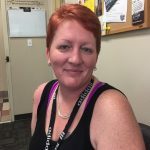 Shauna loves the Rolling Strong program and the new app! She joined the program to get healthier and lose weight. 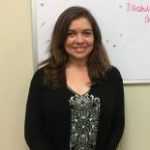 Over the past year, she has been working with a Rolling Strong telephonic coach to help reach her health goals. She has reformed her diet by cutting out diet cokes, decreasing her caffeine intake, and lowering sodium. 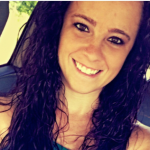 These changes has help Shauna successfully renew her medical card to a 2 year card! 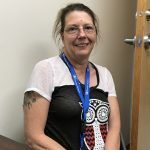 She is moving towards a healthier lifestyle while driving out on the road and plans to continue her work with Rolling Strong for help and encouragement to achieve her goals. This wonderful Bennett driver just completed a Rolling Strong Competition sponsored by Bennett. She enjoyed the app and used it to log her food and track daily calorie intake. Amanda also became more active by using the Flex System workout in the app. Tracking sleep, exercise and calorie intake has been a helpful tool in achieving overall better health. This program has encouraged her to seek out her long-term health goals, even after the competition. Higi confirmed my blood pressure and weight were accurate. When I compared them with the measurements at the doctor’s office. I was not expecting the level of accuracy from the higi station, and was pleasantly surprised. 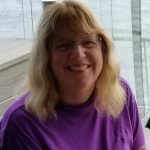 Sue has been working with a Rolling Strong wellness coach for over a year. She recently passed her DOT physical in January and her blood sugar is under control! Sue has worked very hard to control her carb intake and she chooses healthy snacks and meals. Keep up the great work, Sue! 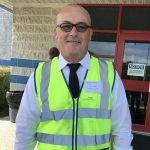 Richard met with a Rolling Strong coach at the fall Landstar BCO conference and learned about the importance of healthy choices while on the road. He joined Rolling Strong at that time, and began using the app to help him make small changes. Richard has increased his protein and water intake and is getting more activity in. He was able to lose 10 pounds before his recent DOT physical and has successfully renewed his 2 year card! 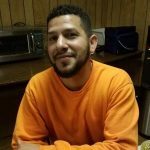 Congratulations to Jose for walking a total of 1,000 miles!! Rolling Strong is proud of your accomplishment! 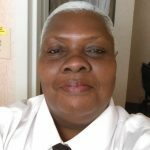 Eunice is making small changes to better her health while she is out on the road. She learned from Rolling Strong that these small changes can quickly add up. She is drinking more water and has cut back on her portions. 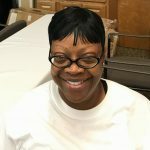 Eunice is continuing to make more changes to help improve her total well being and next on her list is to stop smoking. Keep up the great work! 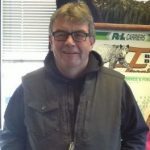 For 17 years, Russell has driven for Greyhound. 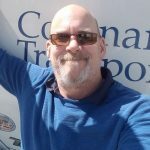 He is a new member of Rolling Strong and a true example for fellow drivers on how to remain healthy and well while out on the road. His “first rule of thumb” is to always pack his own food. He DOES NOT take advantage of the free soda and fast food offered while out on the road and in turn this has helped keep his waistline slim and trim. Russell walks 1.5 miles each day for cardiovascular health. He was previously a paramedic and has seen first hand how bad food and lack of exercise can effect one’s health. Congrats to this wonderful man on being a prime example of how you can remain healthy and drive! 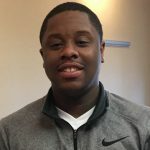 Lavaris lowered his blood pressure by a total of 40 points after working with a Rolling Strong wellness coach. 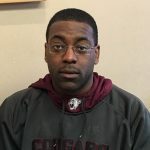 He increased his water and cranberry juice intake to improve hydration and has also been focusing on healthier foods while avoiding fast food. 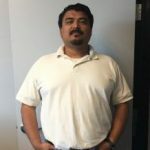 Robert has been working with a Rolling Strong wellness coach for the past year. 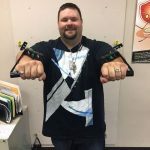 In total, he has lost over 100 pounds!! Robert finally hit his goal weight today! He has been able to do this by decreasing his sugar and high calorie beverage intake. Keep up the great work, Robert! 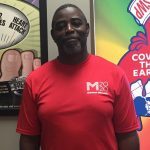 Werley has been working with Rolling Strong coaches to help him gain muscle and maintain a healthy weight. His coaches have encouraged him to eat the right foods in order to support his activity level and to keep his blood pressure within a healthy range. His goals are to keep his blood pressure down and to eat and sleep adequately in order to maximize his workouts and build muscle. Michael has gone down one pants size while out on the road. He learned from Rolling Strong that making small changes can really add up. He has decreased the amount of food he consumes each day and he tries to stay away from all fast food. 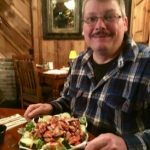 Michael likes to sit down and order foods such as salads to help keep his body nourished. Way to go! 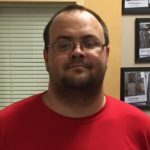 Chris has lost 30 pounds since going through the Rolling Strong orientation last year in Hutchins, TX. 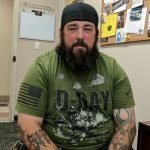 He started focusing on his diet after taking his DOT physical and learning how important health and wellness is while out on the road. Some of the major changes he has made is staying away from simple carbohydrates such as ice cream, honey buns, and all candy products. He limits the amount of white foods he consumes, such as potatoes and white bread, and eats more fish and salads instead. Chris makes it a point to watch his protein vs carbohydrate intake. As a result, he is less sleepy after eating and has a new found sense of energy. He walks daily for 20-30 minutes and hopes to come off his diabetic medication in the near future! Chris is feeling better and thanks Rolling Strong. His wellness coach is so happy and excited for him as well! 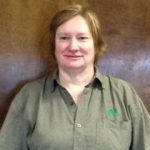 Patricia has maintained her health while driving out on the road through beneficial diet and exercise habits. With the help of Rolling Strong, she has learned that incorporating a protein shake/bar as an afternoon snack can help keep her from overeating at dinner. She tries to stay away from fast food and eats more vegetables. She also exercises at least three times a week. 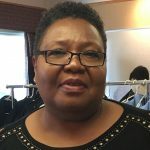 Way to go, Patricia! Daniel is working hard to lower his cholesterol and blood sugar. 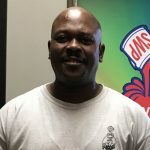 After meeting with Rolling Strong Coach Melanie, he says he has learned some helpful information about what to eat and what not to eat, as well as clarification on some misunderstandings about his diet. 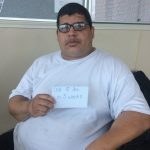 Daniel is looking forward to losing weight and getting his numbers where they need to be by his next DOT physical. 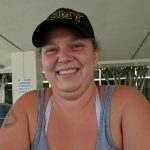 Samantha has lost 10 pounds with the help of Rolling Strong since attending orientation in Hutchins, TX. She has cut back on soda and has been eating smaller portions while driving out on the road. Keep up the good work, Samantha! 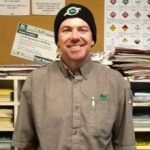 Jim has been working with a Rolling Strong wellness coach for the past year, and this month he passed his DOT exam! He continues to make healthy eating choices a habit while on the road and at home. 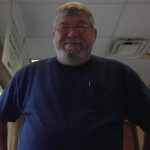 Jim has been walking more on weekends and during breaks, his blood pressure is stable, and he continues to lose weight! Way to go, Jim! 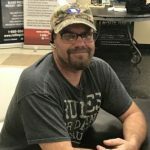 Chris has been working with a Wellness Coach for the past year and as a result he successfully passed his DOT physical last week! He has been making small changes that include healthier meals and snacks during the day. Chris has also increased his physical activity. 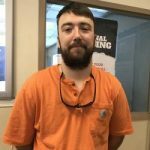 He recently completed a 5k race and finished with his fastest time yet. Keep up the great work, Chris, we are so proud of you! Randy has been working with his Rolling Strong coach for a few weeks and has lost six pounds. 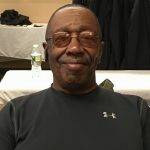 He lowered his systolic blood pressure number by 34 points and his diastolic number by 17 points simply by drinking more water and making mindful choices with what he eats. Great job, Randy! 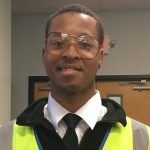 Noah started working in-house at Covenant Transportation in September of 2016. Even though the prospect of a new job ought to be a positive experience, he shared that he was in a dark place. His lifestyle changed for the worse, and his eating habits, sleep patterns, and stress level was shot. This greatly affected every aspect of his life. Noah was gaining weight, feeling sluggish and tired all the time, lacked desire and conviction for life’s passions, his work ethic suffered, and even his psyche was drained and depressed. At that point he decided things needed to change. Fred lost 34 pounds by eating a low sugar/low carbohydrate diet. He also exercises every day, prepares small portion meals ahead of time, and works with his Rolling Strong coach. His goal is to lose 20 more pounds and lower his systolic blood pressure by 10 points. Keep up the great work, Fred! 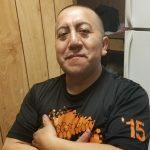 In the three months that Jose has been working with the Rolling Strong health coaches, his blood pressure has dropped 16 points putting it within a normal range. 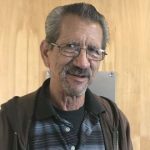 Jose’s cholesterol went from being elevated to normal after he started walking 30 minutes, three times per week, eating healthy foods, and drinking more water. Samantha lost four pounds over the course of 1 1/2 months while working with her Rolling Strong coach! 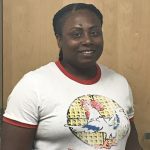 She had been absent from work due to a stressful family emergency, and through it all she was still able to stick to some of the nutritional tips she had been working on. Although she thought she had gained weight due to the stress, she actually ended up seeing that she had lost weight! Stanley has lost four inches off his waist and 10 pounds of weight due to diet and exercise. 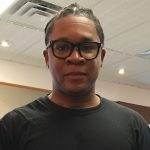 He has been working with the Rolling Strong health coaches since January 2017. He has cut out pork from his diet, watches his sodium intake, and now includes some type of vegetable every time he eats. His go to blood pressure lowering vegetable is beets. He also has started walking on the treadmill daily. 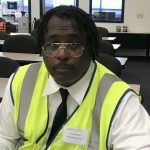 Stanley’s new goal is to continue working with the health coach to increase his DOT physical card from a one year to a two year card. One word…GAINS! Way to go, Stanley! 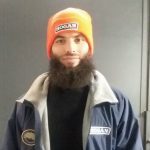 Paul has been working with a Rolling Strong Coach for over a year. He has successfully kept his blood pressure, pulse, and weight stable within that same timeframe! Paul states that he has worked very hard and continues to focus on his nutrition and physical activity daily. He has cut down on his red meat and sodium consumption which helps him stay on track. Keep up the excellent work, Paul! Before coming to orientation Florencio did not eat any fruits or veggies. After working with Rolling Strong coaches, he has now taken small steps to incorporate high fiber foods into his diet. He plans to continue trying new fruits and veggies while out on the road. 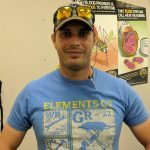 Keep up the great work, Florencio! Paul has been working with a Rolling Strong Wellness Coach for the last year. 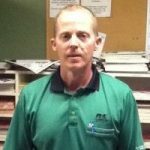 He is an avid runner and has continued to work hard to increase his mileage each week. Paul has added more protein to his diet in the morning as well as complex carbohydrates. His goal is to run a 5k in the next few months. Keep up the excellent work, Paul! 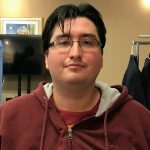 Eric has worked with a Rolling Strong Wellness Coach for the past few months. Within those months, he has increased his physical activity each week. Not only has his physical activity improved, but his water intake continues to increase every day! Eric’s blood pressure, pulse, and weight have also been stable for the last few months. Way to go, Eric! 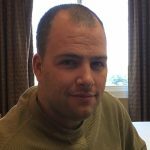 Rich has worked with a Rolling Strong Wellness Coach for the past year. 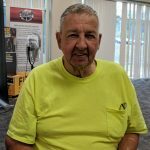 He tries to walk every morning before work in order to help decrease his blood pressure and pulse and as a result, Rich’s biometric readings have continued to be stable for the past year. Keep up the great work! 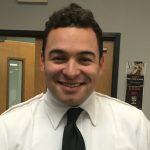 David has been working with a Rolling Strong Wellness Coach for nine weeks. He has lost a total of five inches off his waist and 28 pounds! At the start of his weight loss journey, David began doing CrossFit four times a week. He continues to work out weekly and pushes himself during every workout! David has also worked with his wellness coach to incorporate healthy eating habits into his lifestyle. He continues to work very hard in order to maintain his current weight. Way to go, David! Charles has lost 17 pounds in two months! He accomplished this by drinking water, cutting back on soda, and eating salads instead of the unhealthier options at truck stops. He has taken the advice from Rolling Strong very seriously, and makes a point to move around as often as possible. Great job, Charles! 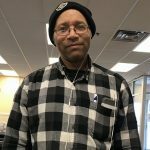 Randy has lost 12 pounds since completing orientation this past December. 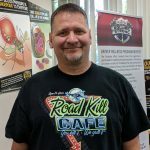 He watched the Rolling Strong videos and learned that keeping up with your health while driving is crucial. 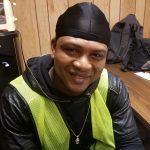 He eats baked chicken, fish, and shrimp tacos while out on the road. Randy snacks on dried fruits and nuts to help keep him from over eating when he gets bored while out on the road. He exercises every day, doing at least a half mile around his truck daily. This gets his blood pumping and helps bring down his blood sugar. Randy is going to start incorporating exercises with weights in order to help tone and build muscle. 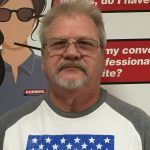 Congratulations, Randy, and keep up the great work! Cesar has lost ten pounds in two months! He is doing his best to practice the advice from Rolling Strong daily. Whenever he is not driving, he walks around and finds something to do so he is not sitting around. He chooses healthier options, like fruits, when it comes to snacking, and chicken wraps or the salad bar when it comes to meals. Great job, Cesar! Jared took the advice from Rolling Strong and cut out all sugary drinks such as juice and soda. His main drink of choice is water and Gatorade. He says he feels more energetic since the decision. Great job, Jared! Sydney has lost 25 pounds since August! He has made several changes to his diet with the help from his Rolling Strong coach. He is soda free and drinks water all day long to help him stay hydrated and focused. He has also decreased the amount of fried foods he eats, replacing them with baked foods and veggies. 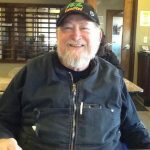 He is feeling better and now has more energy with the positive changes he has made to his life. Fantastic job, Sydney! Angel has lost 10 pounds since January with the help of Rolling Strong. He has been drinking lots of water and preparing his own food in the truck. When he can, he goes out for a walk. These simple changes have helped him to lose weight. Keep up the great work, Angel! Elvis has lost six pounds since November, 2015 with the help of Rolling Strong. He has learned that small, consistent changes are key to living a healthier lifestyle. The two main changes he has made is staying away from greasy foods and moving more. He has started walking more each day and enjoys riding his bike when at home. The ripple effect of these changes is not only the weight loss, but he also feels much healthier and has more energy. Way to go, Elvis!! 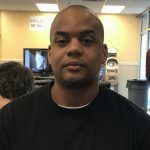 Antonio is committed to improving his health with the help of Rolling Strong. He has not smoked since Jan.13, 2017! 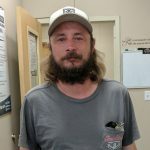 He bought a pack of cigarettes while out on the road and smoked half of the pack and then gave the rest away. He hasn’t picked up another cigarette since that time. He is now focusing on changing his diet and is feeling more energetic each day. 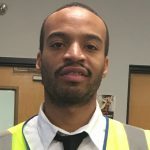 We are so proud of this driver and wish him continued success! 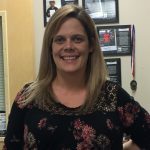 Jennifer has lost 11 pounds with the help of Rolling Strong. 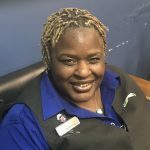 She learned during orientation that making small changes can add up. She has lost around 2 pounds per week while out on the road. She is adding exercise and drinking lots of water while driving. Every opportunity she gets, Jennifer tries to get down from the truck and run around it. She started out eating veggies to help add a good source of fiber into her diet. Check out Jennifer’s before and after photo…Way to go! 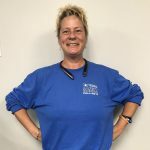 Jeannie has lost 3 pounds with the help of Rolling Strong. She is drinking more water each day with lemon and juicing on the truck. She has started adding exercises each day to help burn calories and build strength. Jeannie does 10 push-ups, 2 leg lifts, and 2 reps of 30 jump rope. To keep her mental clarity and a clean spirit she reads her Bible 2 times a day. She says this helps her to stay consistent with her exercises. 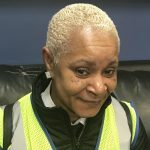 Congrats to this wonderful driver on making small changes to help better her health. 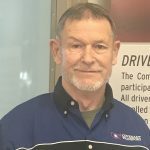 This driver brought his blood pressure down by 25 systolic points by drinking more water and lowering his stress after working with a Rolling Strong Coach during Greyhound school. Elvis has lost weight again with the help of Rolling Strong. He is down 2 more pounds. He is always ready to check his bio numbers (blood pressure and weight) while in Dallas. This helps keep him accountable for his health. Elvis exercises daily and eats salads while driving out on the road. He does enjoy juice/soda from time to time but always makes sure to drink plenty of water. 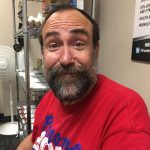 Bruce has stopped smoking!! He has been smoke free for a month and a half now. 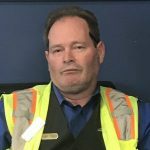 He checks in with Rolling Strong while at the terminal and it has helped encouraged him to get healthier and stop smoking. The most important motivator has been that his son has asthma. He is trying to be a good example for him and give him cleaner air to breathe. Bruce is feeling much better, has more stamina, energy, and it is now easier for him to breathe. He is also saving TONS of money!!! Congrats to this great driver and we wish him continued success. 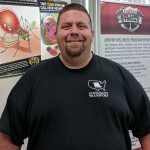 Congratulations to Todd Miller for losing 20 pounds! He accomplished this by working out in the Rolling Strong gyms and changing up what he eats. He chooses to eat tuna and salad with vinaigrette dressing and snack on rice cakes and fresh fruit. He takes cinnamon and garlic tablets to aid in monitoring his blood pressure and blood sugar. He also sets goals for himself for motivation. Since he has lost weight, he noticed the differences in his energy levels. Keep it up Todd! 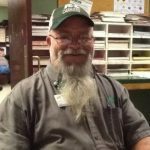 James had been driving 20 years and still has a 2 year DOT medical card due to his healthy habits out on the road. He exercises regularly doing push-ups, fast walking at the rest areas and at the shippers. He stays away from fast food and eats a lot of salads while out on the road. He drinks super greens daily and water. 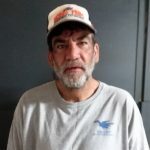 He found out with the help of Rolling Strong that he was still dehydrated and started increasing his daily water intake. Way to go James! John has lost 3 pounds with the help from Rolling Strong. He hopes to hit his goal weight by August of this year. He has been eating salads and has cut down on fried foods. John does not add any table salt or sugar to any of his food. He watches his bread intake and mainly relies on fruits, veggies, and oatmeal to provide good fiberous carb intake. He also has downloaded an app to make sure he gets his steps in each day. 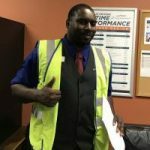 Way to go..we are cheering this driver on to met his goal in August. 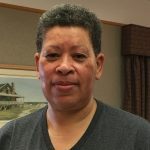 In the past month Gina got her blood pressure down to normal readings and lost 7 seven pounds. This was even after a holiday. Eating healthier and more exercise was the secret to her success. Patrick has lost 15 pounds since driving a month ago. He learned from Rolling Strong (Coach Ciara) that making small changes can help better his health while driving out on the road. Some of the changes he has made are eating only when he is hungry, making better snacking decisions, and walking more each day. 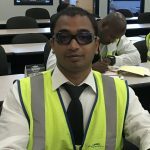 Congrats…he is only starting his journey. He wants to lose a hundred more pounds. 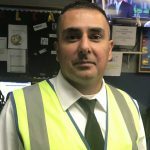 Manuel has lost 5 pounds since going through Greyhound driving school. 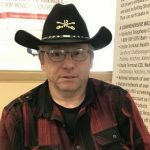 He learned with the help of Rolling Strong that cutting back on soda and drinking more water can help you lose weight while driving out on the road. He uses a walking app to help him reach his 8,000 daily steps. Combine his walking with a few diet changes and his efforts are paying off. Congrats to this driver and his weight loss. Isaac has lost 15 pounds since November with the help of Rolling Strong. He has been making healthier choices while out on the road. He stays away from eating too much truck stop foods. Instead he eats homemade sandwiches, fruits, nuts, and tuna on his truck. He also walks daily every time the truck stops. These small changes has helped him lose weight effortlessly and he is still able to enjoy his favorite foods on occasion. Great job. 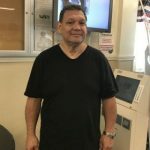 Jose lost 27 pounds in two months! 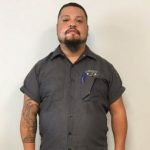 He is the safety manager here in Pomona and thanks Rolling Strong for helping him achieve this goal. He accomplished this by talking to a Rolling Strong Health Coach daily on better options for food and drinks. Instead of eating out, he uses the skillet and crock pot at work. He also walks daily. Congratulations Jose! 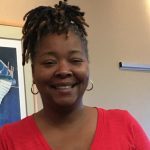 Trisha improved her quality of life by making lifestyle changes. She cuts out sodas and drinks water infused with fruits instead. She only eats whole grains and makes sure to cook over the road more than she eats out. She even stretches while she fuels her truck. She notices she has more energy than she did before. Keep it up Trisha! 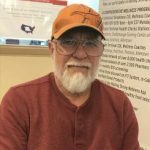 Since starting with Rolling Strong in December 2016, George has been more motivated to keep track of his blood pressure by checking in at least every other week with the Rolling Strong Wellness Coach. 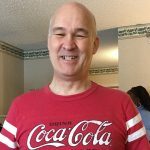 His systolic blood pressure has decreased by 15 points on average and he continues to take the small steps necessary to keep it under control by drinking more water and decreasing his caffeine intake. He also watches his diet by making healthier choices in order to maintain a healthy weight. Albert has lost 4 pounds over the past 6 weeks. 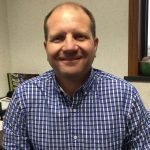 Rolling Strong has helped encourage him to make small changes while out on the road. He has replaced several of his greasy fried meals during the week with salads. This small change has helped with his weight loss. He also is drinking more water. Congrats to this driver. 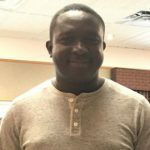 Faycal enjoys indoor soccer and basketball as regular exercise. It allows him to be fit and to meet new people. He does this on a regular basis in addition to workouts. He does cardio and muscle training making it four days a week resultant in excellent readings. hKeep it up!! Danny has been concerned about his blood pressure for the past couple of months. 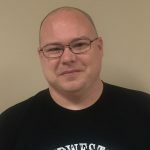 After meeting with his Rolling Strong coaches and following their advice, he has lowered his sodium intake, increased his water intake, and is exercising regularly. As a result, Danny has lowered his blood pressure by over 30 points. 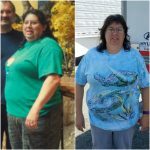 100 pound weight loss while driving out on the road!! David Lopez IS Rolling Strong while out on the road. He wants drivers to know it can be done while driving with consistency and lifestyle changes that you can adhere to day in and day out! First, David figured what his daily calorie intake should be. 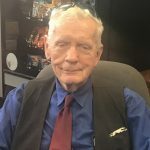 He made some changes to his diet which included cutting back on fried foods, decreasing portions, drinking only water, no sodas, walking at a moderate pace for at least 30 minutes daily. Everything in moderation so during his home time David takes a break from his diet. Soon as he is back on his truck he starts his diet back up. He has also gone from a one year DOT medical card to a two year card over the last several years. He plans to start incorporating weight bearing exercises to help tone and build muscle. Congrats to this wonderful driver!! 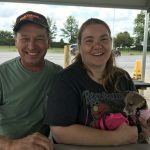 Jeannie has lowered her blood pressure: systolic down 39 points and diastolic down 14 points. 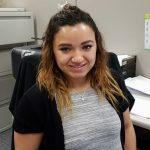 She achieved this success by decreasing her sodium intake, began drinking more water, eating healthy snacks such as walnuts along with meeting weekly with a Rolling Strong Coach. Since meeting with his Rolling Strong coach 6 weeks ago, Talon has been drinking more water, practicing proper portion control, walking more, and using his FIT System. Talon has lost 12 pounds so far and is focused on his goal of losing another 60 pounds. 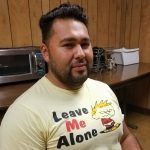 Enrique has lost six pounds since February by making two simple changes to his daily routine. On his 30-minute break he walks for 15 minutes, in addition to increasing his water intake. These small changes have helped him drop weight and feel better. Keep up the great work! Jose has lost 10 pounds in 5 weeks and has decreased his waist size by 5 inches. He chooses to drink water and juices over soda, and has changed his diet to include fruits and salads and eliminated bread altogether. He also incorporates exercise into his daily routine. 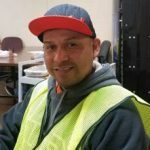 Jose began working with his Rolling Strong CDL Wellness Coach during orientation and continues to check in when he is at the yard. Jack has lost over 11 pounds by eating healthier and working out every day. He walks on the treadmill every morning before work, uses his Fitbit regularly, and has cut out unhealthy foods. These changes have helped him to drop the weight and feel better. He continues to check in regularly with his Rolling Strong CDL Wellness Coach. Keep up the great work, Jack! 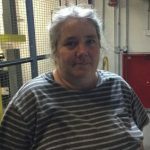 Ellen passed her pull/push agility test with the help of Rolling Strong and the CDL Wellness Coaching! 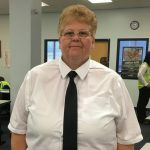 She says that everybody has been very supportive, and after passing her agility test she is now ready to hit the road. Kevin has lost 16 pounds over the past two months. 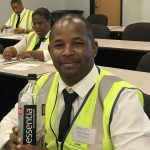 He learned during orientation, from the Rolling Strong CDL Wellness Coach, how important it is to drink water when he is driving. His main weight loss tip is to stay away from truck stop foods. He now eats veggies, fruits, and salads while out on the road. Kevin enjoys smoothies and tries to limit his bread intake while driving. Congratulations, Kevin! Keep up the great work. Sherry and Gerard are Rolling Strong! 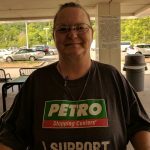 They work on their health while truckin’ down the road, and Sherry has lost 15 pounds since February. They are cooking and eating in their truck, which includes making veggies, salads, and incorporating lots of fruit into their diet. They are walking each day and plan to start working out with the FIT system while out on the road. Keep up the good work! 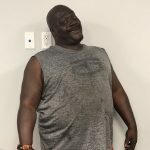 Edwardo has lost 17 pounds with the help of Rolling Strong. 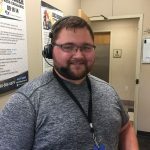 He has been working with Coach Jonathan since driver orientation in May, and the changes he has made has helped with his new-found weight loss. 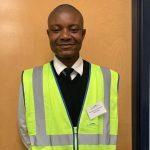 Edwardo eats breakfast every morning, has increased his vegetable intake, and snacks throughout the day on healthy foods so he doesn’t over eat in the evening. He plans on continuing these healthy habits, as well as adding more movement and exercise into his daily routine to help with future weight loss. 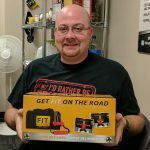 Great job, Edwardo, for taking control of your health while being out on the road! 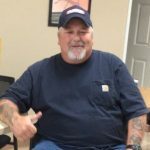 Robert has been working with his Rolling Strong CDL Wellness Coach for the past month and has successfully lost six pounds! He has eliminated juice from his diet, and is being more physically active. We are very proud of the changes Robert has made. Keep up the great work! 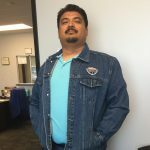 Congratulations, Jose, on achieving your jacket for walking 750 miles. What a great way to set an example for all the other drivers out there! 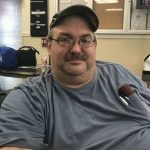 Rob has been taking blood pressure medicine for years, but hadn’t been keeping an eye on his overall health as a driver. He went in for his physical and received a 90-day card due to high blood pressure. He then began working with the Rolling Strong coaches and learned that he was eating too much sodium and not getting enough water. He was drinking a lot of caffeine and wasn’t getting any regular exercise. After purchasing the Fit System and Stepper, Rob began using them regularly as well as the gym at the terminal. Shortly after, he successfully renewed his one year medical card and is back on the road! 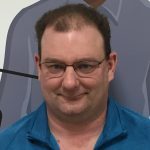 Rob continues to limit his sodium intake, drinks lots of water, gets regular exercise, and continues to check in with his health coach to make sure he is staying on track. Congratulations to this driver for taking control of his health so he can stay safe on the road! 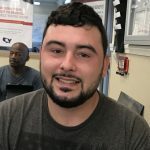 At driver orientation, Anthony passed his blood sugar test with the help of Rolling Strong and CDL Wellness Coaching! Through the coaching, he has learned how his diet and hydration impacts his blood sugar. Anthony now chooses water over soda, grilled foods over fried, and he monitors his blood sugar regularly. Keep up the great work! 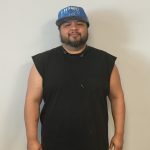 Congratulations, Jose, on losing weight as well as lowering your blood sugar! Jose took the advice from Rolling Strong and cut back on the amount of fast food and junk food he consumes. Instead of relying on truck stops for food, he grocery shops instead. He chooses to eat sandwiches and salads instead of the heavy processed meals he ate before. If he does happen to eat at a truck stop, he visits the salad bar and water is his drink of choice. He plans to continue to do the most he can to improve his health. Great job, Jose! Scott has lost 23 pounds with the help of Rolling Strong. One of the first changes he made was cutting out coffee and switching to green tea and water! He eats almonds, and has small snacks throughout the day to help him avoid over-eating at meal times. Scott’s calorie count stays around 500 calories for each meal, and his go to food to start the day is oatmeal. He incorporates fruits and veggies to make sure he receives enough fiber each day, and last but not least, he exercises as often as possible using his bands four to five times a week. He plans on losing 31 more pounds in order to get to his goal weight. Keep up the great work, Scott! 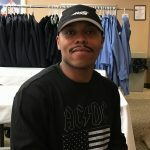 Frank enrolled in the Rolling Strong program back in April. His blood sugar reading was elevated and he wasn’t monitoring it regularly or even taking his medication. 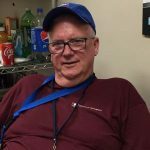 Frank has been working with a Rolling Strong CDL Wellness Coach over the past few months and his blood sugar levels are now under control. He is taking his medication daily and has eliminated high calorie, sugary snacks and has decreased his soft drink intake. In conjunction with these lifestyle changes, Frank has lost 11 pounds! He currently works out with weights on breaks and has increased his number of steps throughout the day. Great job, Frank! Andre received tips and was shown proper techniques on how to complete his agility test by a Rolling Strong health coach. He was easily able to pass the step/kneel portion of the agility test afterwards. Great job, Andre! 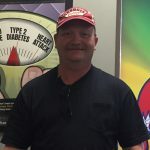 Randy is celebrating two years without blood pressure medication thanks to the coaching from Rolling Strong! 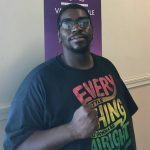 Michael has lost five pounds with the help of Rolling Strong! He checks his weight on a regular basis at the terminals using the health check stations. A couple of major changes he has made to his diet is cutting back on his sugar consumption and drinking more water. He has stopped keeping cookies and other sweet treats in the truck and has replaced them with protein bars instead. Keep up the great work, Michael! 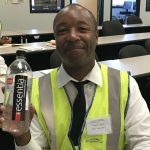 A huge thank you to Norman at the Dallas terminal for providing water and healthy drinks to all the drivers! 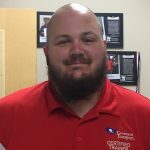 After discussing drink options with the Rolling Strong coaches, he found out that the Gatorade being provided contained too much sugar per serving. 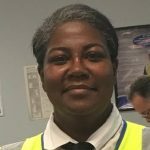 It is so great to have in-house employees be such an integral part of helping improve driver health. Thank you again, Norman! 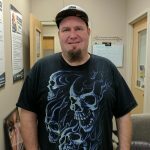 Eric has lost 12 pounds in the past five months while working with his Rolling Strong CDL Wellness Coach. He exercises 250 minutes per week and has given up soda. Keep up the great work, Eric! 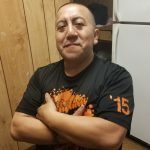 During the third coaching session (two of which were telephonic) with his CDL Wellness Coach, Jose was thrilled to report that he had lost 10 of the 15 pounds he set as a goal back in January. He thanked Rolling Strong for the coaching which included suggestions like cutting back on his portion sizes. According to Jose, that has been the biggest contributor to his weight loss. He is making healthier choices, and sleeping much better now that he’s not eating a big meal before bedtime. Jose has joined a gym, but he gets daily exercise while on the road by doing calisthenics for 15 minutes every day. 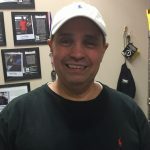 Losing the 10 pounds has given Jose the motivation to reset his long-term goal and he is now wanting to lose an additional 15 pounds. Danny has lost 10 pounds over the past five to six weeks. He exercises three to four times per week and drinks mostly water. 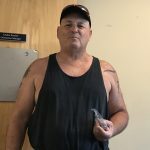 In addition to losing weight, Danny lowered his blood pressure by 10 points and is well on his way to meeting his goal weight. Way to go, Danny! Charlotte has already lost 15 pounds and is well on her way to meeting her first weight loss goal of 25 – 30 pounds! Her ultimate goal is to lose 50 pounds by next June. Charlotte has committed to cutting back on breads, starches, and sugar and she walks at least 1 mile per day. She is drinking more water and only has a soda once or twice a month. Congratulations, Charlotte! Jeffrey has lost 12 pounds by eating more salads and vegetables. He also exercises five days a week which has been a huge help. Keep up the good work, Jeffrey! Tump has lost 30 pounds since April 2017! 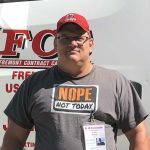 He cut out all fast foods, drinks water instead of high-sugar beverages, and has started cooking healthy foods on his truck with his microwave and crock pot. Tump has also incorporated exercise into his plan by using the truck as his gym. 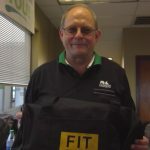 He is excited to be adding the FIT System to his routine and is looking forward to hitting his next weight loss goal! During a follow up coaching call, a Rolling Strong wellness coach learned that Ellis has lost 30 pounds since January 2017! 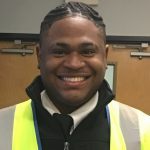 He met with the coaches at the Covenant Chattanooga location and was able to reach his goal after taking their advice. He has cut down on fried food, hamburgers, and soda as well as increased his consumption of fruits and vegetables. He consistently walks for 30 to 45 minutes 3 to 4 times a week, and lifts weights for 45 minutes 3 times per week. Due to these changes, Ellis feels great! 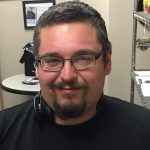 Chris has successfully lost eight pounds in the past month while working with his Rolling Strong CDL wellness coach. He walks on the treadmill every day and has consistently been picking up speed. He says that each week it gets easier to exercise. Keep up the great work, Chris! 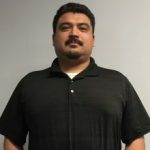 Enrique has been working with his Rolling Strong CDL Wellness Coach and has lost 10 pounds since June 1st by increasing his fiber intake at breakfast and cutting out dairy. 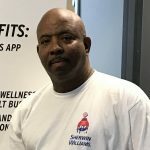 His long-term goal is to drop another 10 pounds, and he feels confident he can do it utilizing the Rolling Strong program. 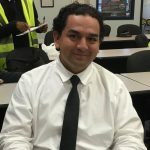 Congrats to Enrique, and keep up the great work! 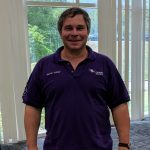 David has lost 26 pounds since completing orientation in May. He has been controlling what he eats and works out while at the hotel. His diet while out on the road consists mainly of fish and vegetables. Keep up the great work, David! 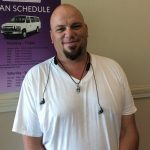 Michael gained over 100 pounds after he started driving, and due to health-related issues he has been off the road for the last year. 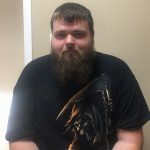 He is now back on the road with SRT, has signed up with Rolling Strong, and is currently working with a CDL Wellness Coach. Michael has set a total weight loss goal and is committed to a complete lifestyle change. 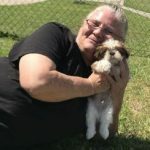 Claudia has lost 12 pounds within the past month. As a result, she has reduced her blood pressure by over 30 points! Claudia has added lots of fruits and vegetables to her diet and has cut out all processed sugar and sweets. She drinks a gallon of water per day and tries to walk and jump rope every day. Great job, Claudia! 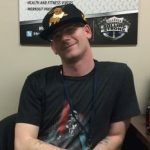 Patrick discussed the health risks of smoking with Rolling Strong CDL Wellness Coach Kasey and took it upon himself to make a change. 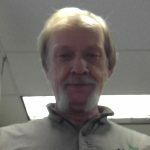 He started using Chantix, which is covered by Don Hummer Trucking’s insurance plan, and was able to quit smoking after one week! Patrick has been smoke free for one week now and says he has much more energy, sleeps better at night, and has regained his sense of smell and taste. Congratulations, Patrick! Keep up the great work! 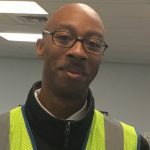 Roy started working with a Rolling Strong CDL wellness coach in August in order to participate in the wellness raffle. His goal was to maintain his lifestyle of walking on the treadmill three days a week for 20 minutes and eating well. 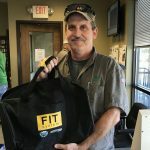 He won second place in the August wellness raffle and received a FIT canvas tote bag, Rolling Strong canvas tote bag, and a Team Run Smart cap. Way to go, Roy! Keep up the great work! 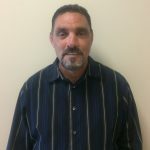 John worked with Rolling Strong CDL Wellness Coach Kasey in order to come up with strategies to lose weight. He eliminated his daily soda and started drinking only water after his morning coffee. In one month, he lost 12 pounds and two inches off his waist. John walks 2,000 – 3,000 steps each day and feels much more energetic than before. He loves the feeling of moving his belt buckle to the next notch smaller! Congrats, John, and keep up the great work! 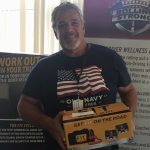 Steve participated in the August wellness raffle held by Rolling Strong. He visited his coach every week with his goal being to continue his current lifestyle. Steve successfully maintained through the month of August and won first place in the raffle! 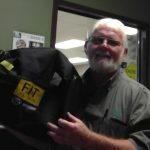 He received a FIT canvas tote bag, Rolling Strong canvas tote bag, Big Rigger t-shirt, and a Team Run smart cap. Way to go, Steve! James has reduced his soda intake since going through orientation with Rolling Strong. He learned that by making small goals he will achieve better overall health. 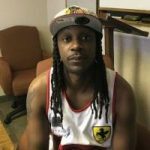 James went from drinking three one liter bottles a day to only drinking one 20-ounce bottle per day in addition to increasing his water intake. There are other wellness goals that James wants to pursue in the future, but he is pacing himself to help achieve his short-term goal. Keep up the great work! 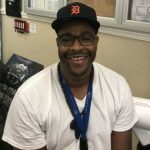 Robert worked with a Rolling Strong CDL wellness coach in order to participate in the August wellness raffle. His goal was to make healthier lunch choices, and Robert lost three pounds during the month of August. 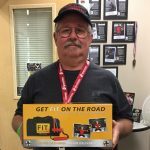 He also won first place in the wellness raffle and received a FIT canvas tote bag, Rolling Strong canvas tote bag, Rolling Strong T-Shirt, and a Team Run smart cap. Keep up the great work, Rob! 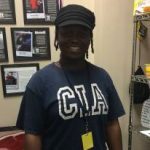 Shae has lost eight pounds with the help of her Rolling Strong CDL wellness coach. The weight has melted off since she completed orientation in August. Shae exercises every day, runs, and does push-ups to help burn calories while out on the road. She stays away from pork, eats plenty of vegetables, and she snacks on nuts and yogurt. When Shae has a sweet tooth, she reaches for fruit instead of simple sugars such as candy, donuts, or soda. Shae is right on track to meet her weight loss goal! Great job! 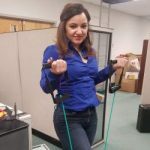 Samantha has lost inches off her waist with the help of Rolling Strong. She hasn’t had a soda in five weeks and now only drinks water! Samantha has stopped smoking and is super excited about giving up cigarettes! 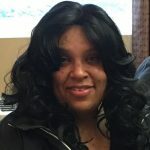 With all the positive changes she has made, Samantha has more energy and is feeling much better. Great job! Patrick does it again! 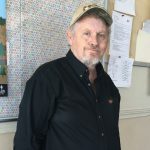 He has lost an additional seven pounds since he last saw his Rolling Strong CDL Wellness coach. Patrick continues to follow the advice Rolling Strong has given him and moderates whatever he eats. When he does have to stop and eat fast food, instead of over indulging, he orders the smaller meal and tries to pick the healthier option. Patrick always asks himself if he is actually hungry or just bored to avoid overeating as well. He has now lost a total of 40 pounds! Keep it up, Patrick! 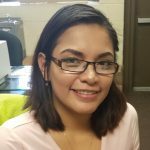 Migeuel believes in working out and eating healthy foods. 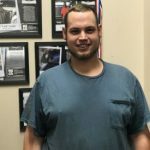 Congratulations goes to Michael for losing a total of 203 pounds over the last three years while working with Rolling Strong and their team of CDL wellness coaches!! 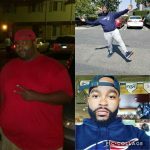 He accomplished this amazing weight loss by watching what he ate and walking whenever he found the opportunity. Michael continues to read nutrition labels on food in order to make sure his sodium content is not high and he also reads the labels on beverages if he drinks anything other than water. He does not plan on stopping until he reaches his goal. Keep up the great work Michael! 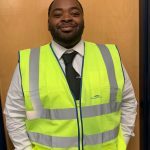 Congratulations to Dierre for losing 16 pounds since he started driving. 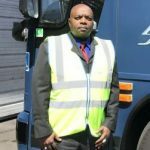 He worked closely with his Rolling Strong CDL wellness coach, and took the advice he was given seriously. Dierre makes sure to get exercise in by doing step ups on the truck, walking around the truck when he wakes up and before he goes to sleep, as well as making it a point to park as far away from the truck stop as possible. He can now run a quarter of a mile without stopping. Dierre cut back on candy, which improved his blood sugar, and he consistently eats fruits, salads, and sardines. Not only does he eat right and exercise, he also makes sure to get enough sleep every night. 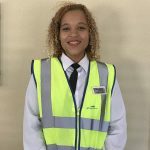 Keep up the great work, Dierre! “I wanted to be in the best shape I could, being a professional driver. I started the program with the motivation that I would not go down the same road I see so many drivers go down. A lot of drivers are unhealthy and overweight, and I am determined not to be one of those drivers. I stay away from chips and junk food and supplement them with a variety of raw fruits and veggies. I try to avoid red meat and only allow myself grilled chicken or fish. I watch out for high fructose corn syrup in my foods and limit the amount of carbs I intake. 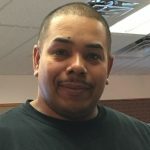 Hector lost six pounds by drinking more water and eating healthy meals while on the road. 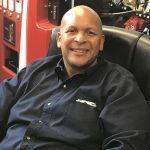 He also lowered his systolic blood pressure by 20 points utilizing the deep breathing techniques he learned from his Rolling Strong CDL wellness coach. Great job, Hector! 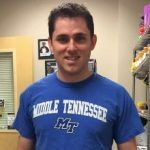 A little over two years ago, Ryan spoke with a Rolling Strong health coach about making lifestyle changes. After being given advice, he promised he would reach his goal. We are proud to announce that Ryan has lost 275 pounds while on the road! He achieved these amazing results by giving up burgers and fast food for a year as well as drinking a lot of water. He believes in a low carb/high protein diet now. Congratulations, Ryan, on all of your achievements! Rolling Strong could not be any more excited for you! Kirk has not had a cigarette since finishing orientation. He decided to stop and get healthy after listening to the Rolling Strong presentation. Since putting down the cigarettes, he is breathing much easier and is now able to taste his food. 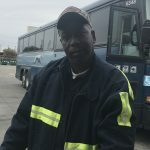 Kirk checks in with the local CDL wellness coach at the terminal for continued support and tips on how to remain successful. Another part of his action plan is to team with a non-smoker. Kirk is working on his diet and has lost seven pounds so far by eating mainly lean meats, steamed vegetables, and increasing his water intake. Congratulations, Kirk, on all your accomplishments! 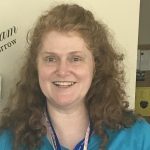 Heather has lost eight pounds since going through orientation in June of 2016. 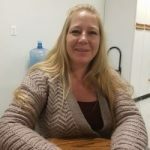 She learned from a Rolling Strong CDL wellness coach that making small lifestyle changes really does add up in the end. Heather lost the weight by simply walking her dog every day and increasing her water intake. She is starting to take a whole food based multi-vitamin each day and is making small changes that are beneficial to her health. 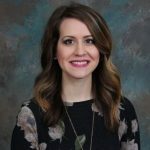 Congratulations and job well done, Heather! 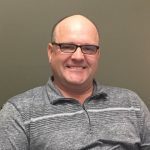 About a month ago, Chris visited a Rolling Strong CDL wellness coach and was encouraged to see his doctor because of his critically high blood pressure. 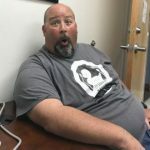 While at the doctor, Chris also found out his blood sugar was elevated which led him to change his diet in order to limit sodium, fats and carbohydrates, and he is taking blood pressure medication each day at the same time! 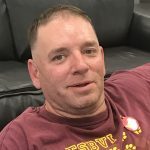 Chris has begun to lose some weight and is hopeful he can eventually come off the blood pressure medicine as well as control his blood sugar levels through diet changes he is making. Keep up the good work, Chris! 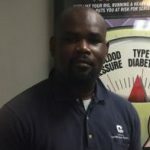 With the help of a Rolling Strong CDL wellness coach, Eddie has lowered his blood pressure! He checks in each week with the local health coach on-site for biometric readings, advice, and encouragement. Eddie has reduced his coffee intake from six cups a day to only three cups and his main source of protein is fish. He walks every day to decrease stress and in turn this has helped lower his blood pressure. Congrats, Eddie, for a job well done! 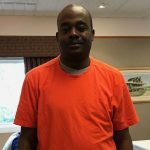 Since May 2017, Cedrick has lost two pounds while driving on the road. This is a victory for any new driver starting out and on the extra board. 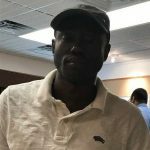 Many new drivers have a tendency to take advantage of all the free “riches” of the road that are offered when starting out…but not Cedrick! 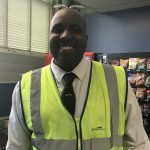 He was informed by a Rolling Strong CDL wellness coach at orientation about healthy snacks that he can enjoy and pack in his cooler to help keep his weight down. 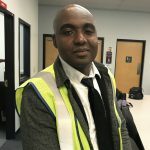 Congrats, Cedrick, and keep Rolling Strong! “The Rolling Strong W.E.L.L. message was extremely beneficial to me. I was completely unaware of the amount of water that I needed to consume in a day. Our CDL wellness coach informed me of the importance of drinking half my body weight in ounces of water per day. Steven decided to cut back on carbohydrates by avoiding breads and pastas, using tortilla wraps for sandwiches, and choosing salads. He also decided to stop eating a bag of potato chips each day as a snack. Steven drinks quite a bit of coffee each morning so he has started using less coffee grounds in order to cut back on caffeine. As a result, he lost four pounds in just two weeks and brought his blood pressure down over 10 points which reduced his risk one hypertension category. By cutting back on caffeine and drinking more water he also brought his hydration status from low to normal. Great work, Steven, good results will keep coming with small lifestyle changes! 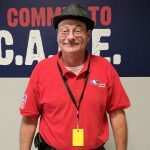 Larry has been training drivers for almost as long as he was a driver – 25 years! He stays fit by working out on and off the basketball court. 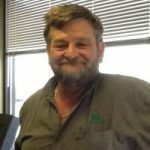 Larry averages five to seven miles per day just by moving and walking. 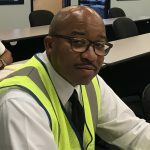 He encourages his trainees to be well and safe on the road. 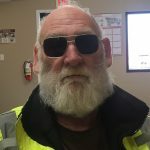 Larry maintains his good health by parking as far from the actual truck stop as he can when making fuel stops, not eating heavy meals before or during driving, and getting plenty of rest when he is done for the day. These are just some of the wellness tips he gives to his drivers. 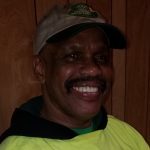 Larry is a great ambassador for the Rolling Strong wellness program and encourages each of his trainees to enroll as well! David has been doing CrossFit for 10 months and has lost a total of 37 pounds. He dropped six percent of his body fat in just 10 months. 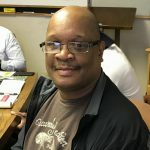 David has been eating healthy which includes no pop, low sugar intake, and checking in with his Rolling Strong CDL wellness coach for support, information, and encouragement. He has done a fantastic job! Keep up the great work, David! 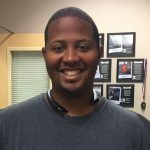 Eric has been successful in keeping up with his health goals while working with his Rolling Strong CDL wellness coach. His biometric screening numbers are consistent and he has a good work/life balance! Keep up the good work, Eric! 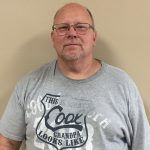 Randy has done a great job being consistent with his new health habits while working with his Rolling Strong CDL wellness coach. This winter he intends to be active chopping wood in order to stay fit. Johnny used to frequently stop at fast food restaurants for meals but he has since changed his dietary habits to include purchasing healthy microwavable meals and closely monitoring his sodium intake. Johnny has integrated a 30-minute walk into his daily routine and has been able to lose a few pounds in addition to lowering his total body fat by two and a half percent. He has increased the amount of water he drinks a day by two bottles resulting in his hydration level moving into a healthy range. Johnny says he doesn’t feel as tired during the day and is excited about his future progress. Keep up the great work! David used to drink one NOS energy drink each day along with a cup of black coffee. 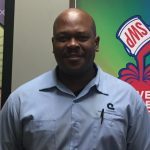 He noticed the added sugars display and decided to talk with a Rolling Strong CDL wellness coach about how much sugar his favorite energy drinks contain. After speaking with a coach, David decided to cut out his daily energy drink in order to work on losing weight and improve his hydration. Good job, David! Congratulations once again to Pat! He has lost a total of 59 pounds while on the road and has dropped two pants sizes. Pat has promised to keep going and he is definitely keeping his word. Great job, Pat, you make everyone at Rolling Strong so proud!! 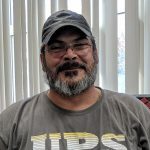 Brian signed up for the “October No Candy Pledge”, hosted by the CDL wellness coach at Don Hummer Trucking, and as a result he didn’t eat candy for the entire month! He lost almost 10 pounds during October and has way more energy and a heightened motivation to exercise. Brian has started using his FIT System resistance bands every other day when he doesn’t get exercise from unpacking loads. These are all great lifestyle changes, Brian, keep them up! 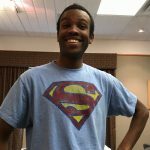 Lachaze has lost nine pounds since October. He consistently checks both his blood pressure and weight at the higi machine each week with a Rolling Strong CDL wellness coach. Lachaze works out at all the terminal gyms during any downtime and he tries to eat Subway most of the time while out on the road. 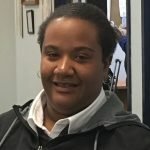 Congrats, Lachaze, on your accomplishments and keep up the good work! Michael has cut back on his daily soda consumption after going through orientation in Hutchins. He went from having four sodas per day to only ONE! This small change has had a ripple effect with Michael’s weight causing him to lose six pounds in one week! He plans on continuing to have only one soda per day while out on the road. Congrats, Michael! 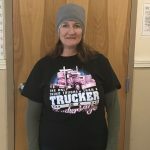 Robin has lost weight with help from her Rolling Strong CDL wellness coach. She now incorporates a daily protein shake into her diet to help keep her feeling satisfied. Robin’s health coach suggested Premier Protein Shakes because they are easy to take on the road and low in sugar. She freezes them and says they taste like dessert which helps keep her evening meal calorie count down. Robin also snacks on Skinny Pop Popcorn to help increase her fiber and good fat intake. Congrats, and keep up the good work! 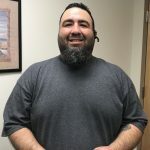 Since enrolling in the Rolling Strong wellness program two weeks ago, Darrone has lost 5.6 pounds, a half inch from his waist, and dropped his systolic blood pressure by 14 points and his diastolic by 8 points. He attributes these improvements in his health to moving more, using resistance bands, and tracking his sodium levels while on road. 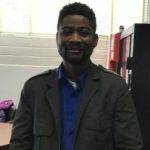 During his home time, Darrone spends quality time with his 2-year-old daughter and enjoys keeping up with her and her pace. 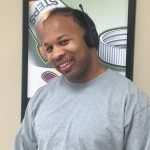 He is looking forward to checking in with his Rolling Strong wellness coach in order to discuss his challenges and successes for the upcoming months. Great job, Darrone! 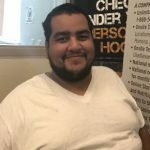 Miguel has lost 37 lbs since going through orientation back in March of 2016. He has made small lifestyle changes that he is able to keep up for the rest of his life. 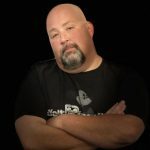 His magic weapon for weight loss consists of eating less food and going for hikes on hiking trails during any downtime. He has also cut way back on his soda intake. 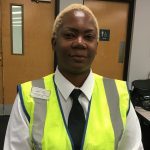 Congrats to this driver for making healthy changes while out on the road. I lost 3 lbs this week by walking every day in the warehouse over my lunch break. I also increased my water intake. Since going through orientation, Gerard has lost 7.6 pounds. With Rolling Strong’s help he has learned the value of staying hydrated and has increased his water intake. He has also added more fruits and vegetables into his daily diet. 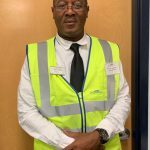 While at the terminal, he met with his health coach for a reading and was pleased to hear that he had lost weight. Gerard also learned about the importance of reading nutrition labels. He plans to make several new adjustments to his diet to help him achieve his goal weight. 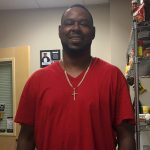 Isiah was able to go from a 1-year physical to a 2-year with the help of Rolling Strong! He cut back on the amount of soda he drinks and choose water instead. His snack of choice is raw almonds and he watches his sodium intake. Congratulations Isiah on your hard work. 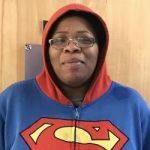 Jackie has lost 3.5 pounds in one week with the help of Rolling Strong. She has made small changes to her diet that have helped her shed the pounds. Jackie is incorporating lean sources of protein and healthy vegetables into her daily routine. 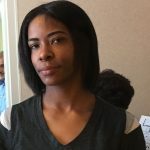 She has also been walking around the hotel each day during orientation to increase her daily steps and calorie reduction. She currently is making a list of healthy non-perishables to take in the truck with her while she goes out with her trainer. Congrats Jackie! Keep moving towards your goal weight. 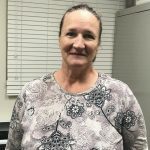 Since our first meeting only one month ago in November of 2017, Tracy was able to bring her blood pressure down by 40 points! She attributes her success to strict commitment to changing her diet and avoiding some of her favorite fried foods and high-sodium meats like pastrami. Great job Tracy! Russell has lost 6 lbs with the help of Rolling Strong since going through Greyhound orientation in LA. He drinks lots of water to help keep him hydrated and his calorie count down throughout the day. He also watches what he eats while out on the road. He has incorporated more greens into his diet and instead of lettuce he opts for a more fibrous/vitamin rich food such as spinach. Also, he goes to Wal-Mart and walks around for an hour to help circulate blood and burn calories. He added new health goals in Dallas and hopes to see more weight loss in the coming months. 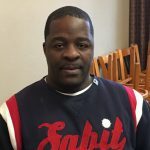 Ernest has lost 11 lbs by changing his eating habits and increasing his activity level. He eats more fruits and vegetables, and less sugar and fried foods. He has also increased his water intake and decreased his caffeine consumption. Kevin has been working to change his food and beverage habits while incorporating exercise into his daily routine. He has successfully lowered his body weight, body fat percentage, and BMI over the course of two months. He says he avoids restaurants, eats vegetables with every meal, and avoids snacking throughout the day. He has increased the amount of water he drinks and cut back soda on his soda consumption. He says the added sugars display put together by the Rolling Strong Wellness Coach helped motivate him to drink fewer sugary beverages. Kevin also sets aside time every day to exercise. He uses kettle bells and resistance bands in the truck, and stretches regularly by doing leaning push-ups on his bunk. 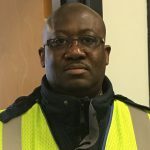 He looks for opportunities to work in some extra movement, such as parking farther away at trucks stops or taking walks while he waits for loads. 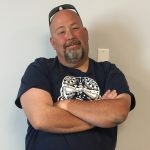 Kevin says he appreciates the guidance given to him by the Rolling Strong Wellness Coach and he feels supported in his ongoing weight loss journey. This goes to show that setting aside time for regular activity and taking control of your diet can lead to real results! Great work Kevin, and keep up the great work! Heather has lost 17.7 lbs with the help and encouragement of Rolling Strong. She is eating several smaller meals throughout the day instead of three large meals that are harder to burn off. Her diet has included apples and peanut butter, beans, soups, and lean sources of protein. She also uses her FIT system at least 5 times per week for 30 minutes. 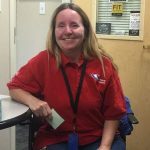 Heather drives at night so she exercises on the FIT system to revive her and get her through the rest of her shift. Keep up the great work and keeping pushing towards your goal! Todd joined the October No Candy Challenge that was hosted by Rolling Strong Wellness Coach Kasey and pledged to give up candy for the entire month. Todd went above and beyond and decided to continue avoiding packaged candy and refined sugar in general. It has been nearly four months since he ate any candy. 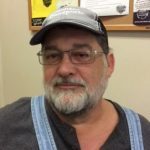 Todd says, “I can feel the difference in my immune system after cutting refined sugars from my diet and I haven’t gotten sick at all this winter!” He craves sugar much less now that he has stopped eating it, and sticking to his goal has become easier and easier. Great work Todd, this is a huge accomplishment! 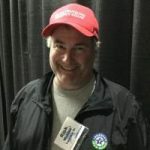 Joe signed up with Rolling Strong in November 2017. He is motivated to reduce his weight and improve his health. 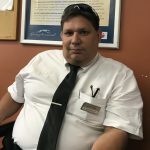 So far, he has lost 8.4 pounds by writing what he eats every day in a journal, using the FIT system on the road, and adding more steps to his daily routine. Now, he chooses egg whites and salmon for breakfast rather than McDonald’s, and substitutes tomatoes as a side dish at meals instead of potatoes. Drinking water all day has contributed to his success as well. He has a weekly phone call with a wellness coach that keeps him on track and motivated. Great job Joe, and keep up your success! 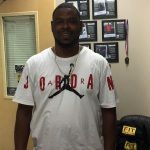 With the help of his Rolling Strong CDL Wellness Coach, David has managed to accomplish his goal of losing 30 pounds! He does strength training exercises every morning before work and eats a well-balanced diet. David has also cut back on his coffee intake as well as drinking more water during the day. 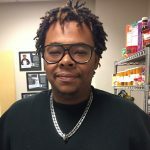 Anthony went from a 3-month DOT card to a 1-year medical card with the help of Rolling Strong! He was struggling with his blood pressure and was taking medication. 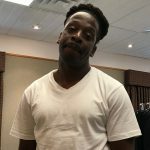 Anthony’s coach encouraged him to re-visit his doctor who made an adjustment in his medication which allowed him to increase his medical card. 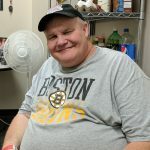 After the medication change, Anthony continues to work on making adjustments to his diet and lifestyle in order to help his blood pressure. Since starting with my Rolling Strong health coach, I’ve lost three and a half inches in my waist! I’ve accomplished this by beginning and sticking with an exercise program, watching portion sizes and quality of my food, and drinking lots of water every day. The support of my Rolling Strong health coach is incredibly helpful in reaching my goals. With the help of the Rolling Strong team I felt confident I would pass my DOT. They gave me information that helped me to not only to pass my tests, but also to understand why I was doing it. 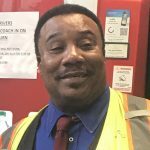 Tyrone has lost 10 pounds by being active each time the truck stops. He does 100 push-ups, 300+ jump rope, and power jacks each day to help build strength and burn body fat. 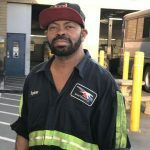 Tyrone also runs the parking lots at the fuel stations. 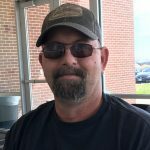 He checks in with RS each time while at the terminal in Hutchins to check on progress and receive extra health tips and encouragement. He has also increased his water intake each day to help keep calorie count down. He says he wants to continue with his health goals and remain the best version of himself while driving down the road. 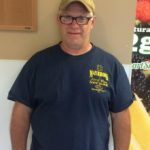 Joseph has lost 12 pounds since October by decreasing his soda intake and walking each time the truck stops. He learned from Rolling Strong that 33 laps around the truck equals a mile. He tries to walk a mile each day. He’s believes that cutting way back on soda has been the most beneficial in his weight loss success. 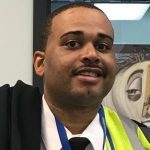 He continues to make goals and check in with the wellness coaches while at the terminal. 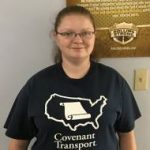 Congrats to this new Covenant driver. James has lost 13 pounds and one inch in his waist size since beginning of October after enrolling in the Rolling Strong Wellness Program. Changes in his nutrition have contributed to his success. James includes salads with two hard-boiled eggs, two bananas a day and almonds into his daily routine. He has downsized his soft drinks to the 7.5oz. size and only drinks on occasion. 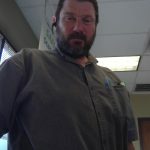 His exercise routine includes resistance bands and weights while on the road and on home time he enjoys splitting wood. James has set a goal weight with the help of his Rolling Strong Coach and is committed to seeing this goal achieved. 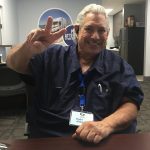 Walter at Greyhound Dallas maintenance center always sends new employees over for biometric readings! 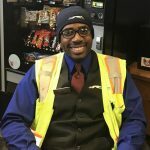 He always has a smile on his face and enjoys the program that Rolling Strong provides Greyhound employees. 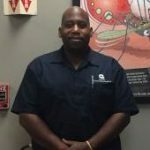 Thanks Walter for caring about your fellow co-workers’ health and well-being. I lost three pounds this week by getting back to walking every day, increasing my water, vegetables, and fruits. I want to focus on really getting healthy and doing my health check with the Rolling Strong Wellness Coach every week. 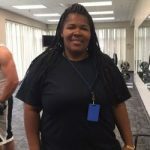 With the help of the Rolling Strong Wellness Coach, Terry has lost 11 pounds! His systolic blood pressure has dropped 10 points on average and he has lost two inches along his waist line. He has made big changes to the way he eats and thinks about his health. 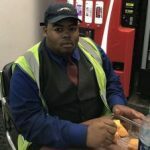 He has cut a total of 18 deli sandwiches a week out and is instead eating more fruits and vegetables. Great job Terry! Keep up the great work! 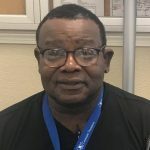 Everton was able to lower his blood pressure and earn a 1-year CDL medical card by using deep breathing techniques and coaching from a Rolling Strong CDL Wellness Coach. 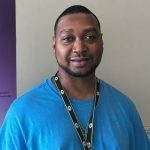 After hearing about the Rolling Strong Wellness Program during orientation, Cedric enrolled immediately in the program. He wanted to focus on routinely working out and eating right to lose weight. Planning a cardio program 3-4 days a week, and following up with weights is just one way he has achieved success. 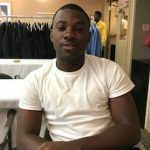 “I choose grilled fish and vegetables over fried garbage and I kill about a gallon of water daily.” All these factors have led Cedric to lose 8 pounds and 1 inch from his waist in 5 weeks. “I want to inspire unhealthy drivers to push away from the table and get healthy”. Great job Cedric your words and actions will encourage others. 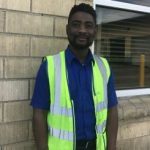 Hanif is a driver who has been working hard to overcome the demands of being an over-the-road driver in order to make healthy lifestyle changes. 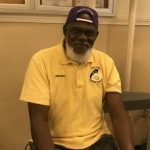 Hanif came to the Rolling Strong Wellness Coach expressing concern for his frequent back pain and after a coaching session he walked away having learned some new stretches to help alleviate the pain. 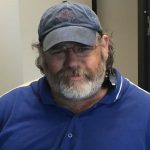 About three months later he came back to the wellness coach with news that his back pain is no longer an issue and he takes time to stretch daily. 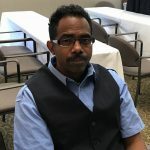 Hanif has also worked to cut back his soda consumption from one bottle per day to three bottles per week and he has started eating 2-3 apples or other pieces of fruit each day as a snack. 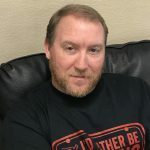 Another very exciting change he has made is cutting back on cigarettes from one pack per day to only one pack per month as he works to eliminate cigarettes from his life completely. These are great shifts that show what can be achieved by putting in a little effort over time! Keep it up! 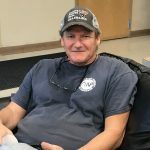 John is an over-the-road driver for Don Hummer Trucking who has been working hard to make steady progress with his health. John lost five pounds in a month and a half which also resulted in a loss of body fat and a decrease in BMI. John used to drink at least one soda per day, but now he opts for water instead and has soda maybe once per week. He says he always parks as far out from truck stops as he can so that he can work more activity into his day. 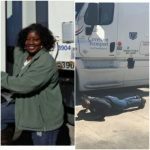 He also takes advantage of any free time, such as waiting for his trailer to be unloaded or loaded, to stand up and walk around to stretch out tight muscles and raise his heart rate. 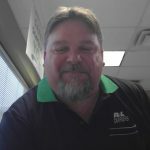 Finding time to be active can be very difficult in the truck driving industry, but John is an example of how it can be done! Great work! After the W.E.L.L. talk presentation I use the health knowledge and apply it to my daily eating routine. I realize that applying the health tips taught I can change my health for the better forever. The advice our Rolling Strong coached offered on portion control was very helpful. I will apply it to improve my current eating habits. Thank you Rolling Strong! I found the Rolling Strong W.E.L.L. about diet and making sure a driver stays hydrated beneficial. 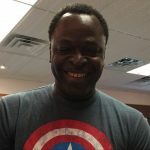 “The Rolling Strong wellness program was very helpful. It made me realize that some of the things I was eating, drinking, and even stressing over aren’t good for my health. The meditation exercises we did during the W.E.L.L. talk is something that relaxes me. I will try to do them from this day forward. Meditation is a tool that doesn’t take much time and it clears my mind. I lost 10 pounds in 2 months by eating smaller portions, eating fruits and veggies, and starting to exercise. I think everyone needs help with health awareness. The stress reduction meditation practice we did during the W.E.L.L talk is something I would use for my regular life. Thank you Rolling Strong! Rolling Strong has really helped me. I have been in the CDL training for Greyhound for a week and I’ve lost 5 pounds. I’m meditating more, and I’m drinking more water than I had been. I will continue to follow what I have learned. This is a great program! I found the hydration portion of the W.E.L.L message to be beneficial. I am now watching what I eat and drink. 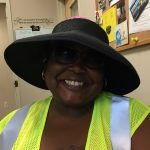 I received good information from our CDL Wellness Coach. I now have a better understanding of how to be healthier. I used to eat out daily, but now I will make the effort to prepare meals before leaving home. I am also more aware that my frequent headaches, which may be due to dehydration. I plan to increase my daily water intake to 32oz. of water daily. Thank you Rolling Strong! 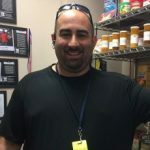 Azi has been working with his Rolling Strong Wellness coach for 10 months now. Azi maintains his health through cardio, soccer, and a proper diet. Homemade food is a big part of his wellness. He also stays away from pop and alcohol, and chooses water is as often as he can. He says it all adds up to optimal health! Ricky has lost 15 pounds by walking more and drinking water instead of sodas. 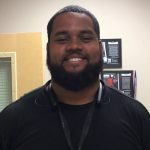 He is continuing to work with Rolling Strong CDL Wellness coaches in order to achieve his goal of losing a total of 75 pounds this year. He is well on his way! 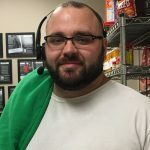 Michael worked with Rolling Strong CDL Wellness Coach Kasey to find ways to eat better and have more energy. The first change Michael made was what he was eating from fast food restaurants. He often finds it hard to get a good meal, but learned how to make better choices at restaurants. 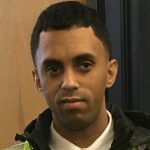 He changed his McDonald’s order from 2 quarter-pound burgers with extra cheese and fries, to a grilled chicken wrap instead. He said his hunger was actually more satisfied with the grilled chicken wrap as opposed to his old order and he plans to continue referencing the “Nutrition in the Fast Lane Dining Guide” to make better food choices. Michael also made a big change in his beverage choices. He was regularly drinking 4 or 5 bottles of Dr. Pepper each day with little to no water. After seeing the “Added Sugars” display put out by CDL Wellness Coach Kasey, he decided that he needed to make a change. He now drinks 1 or2 Dr. Peppers and has added 32 ounces of water into his daily routine. Michael said that by drinking more water he doesn’t get tired as easily and can make it through his day without feeling the need for as many pick-me-ups. Great work Michael. These small steps will add up to big changes over time. Keep it up! I have always been active and when I started working at Covenant I began working out on my own. Although I enjoyed that, I never kept a good routine and talked myself out of working out most days. I didn’t have great energy and started to become lazy with my workouts. Several months ago, I had a friend who was working out in a Rolling Strong class and wanted me to join so we could push each other. I decided to give it a shot and immediately loved it. For about 3 months now, I have been working out with Melanie at Rolling Strong. It is a continuous challenge and helps me relieve all my stress for the day. It has helped me get stronger and get back in the routine I needed. I am starting to see inches disappear and could not be more grateful to be involved in the Rolling Strong classes at Covenant Transport. I cannot wait to continue to see progress and meet my goals! The meditation practice was extremely beneficial. It’s great that someone cares enough about drivers to make sure we are healthy and practicing good eating and exercise habits. Thank you Coach Norie! 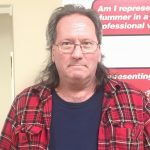 Wayne has been a Greyhound driver for 52 years come this May. He has seen and been through lots of changes throughout the years. He has maintained a good weight and is still going strong. He limits fast food and chooses things like tuna sandwiches and low fat milk while out on the road. 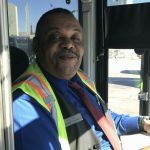 He also checks in with the Rolling Strong CDL Wellness coach while at the terminal to make sure everything is going well. 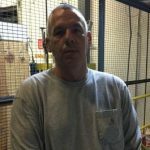 Rolling Strong wants to highlight this great driver for all his years of service! 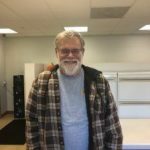 With Rolling Strong’s help, Larry has lost 38 pounds total, and 19 pounds in the past month! He has cut back on breads, pasta, and sugary foods, and is drinking at least one gallon of water per day, as well as exercising more. He just purchased a FIT System for his truck and has already started using it. 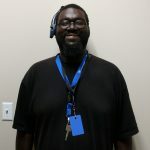 He is very happy with his progress and motivated to continue on his journey to wellness! Our Rolling Strong coach was very helpful in providing information to help me make a life change to better my health. I look forward to working with her in the future. I am going to exercise more and meditate. This is a very good program to have for drivers. Greyhound made an excellent decision to add the Rolling Strong program to our training. Thanks Rolling Strong! The Rolling Strong W.E.L.L talk reminded me to take care of my body with the proper foods and beverages. It also taught me to be sure I am well rested before beginning our work day. I was reminded by Rolling Strong that good physical health brings good mental health. I will begin to put both of these into practice in my daily life. Since I met my Rolling Strong CDL Wellness Coach, she has been very pleasant in teaching me how to meditate. I find this to be very useful and have been meditating once a day. My coach has also introduced me to healthier eating through coaching conversations and providing me with handouts that offer valuable tips on exercise and eating. I found the Rolling Strong wellness program to be very beneficial. I had no idea that certain foods could make me sleepy. The shopping list our coach gave us will go on my refrigerator door. Thank you Rolling Strong! I enjoyed learning about the meditation process. Thanks Rolling Strong! 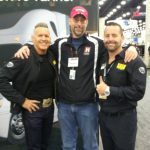 As a driver, this program was a wake-up call for myself and hopefully every driver. Our office is our cockpit. We sit for at least 8 hours a day and sometimes longer! By eating healthy you are doing yourself a favor. I find the food chart that was given to us by our wellness coach to be super helpful. I intend to begin eating healthier and use the Rolling Strong coaching program as my support system. After the W.E.L.L presentation, I found it beneficial to know that eating turkey products could actually cause me to feel fatigued. This is something I will try to avoid eating before driving. Thank you Rolling Strong! I have been using the meditation exercises. I found them very beneficial. Thank you Rolling Strong! I thought the meditation portion of our coach’s presentation was beneficial. It helped me to relax and not overthink everything that was going on during my training. 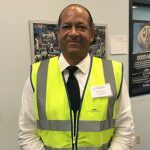 Our Rolling Strong CDL Wellness coach presented the program really well and made me want to participate. The presentation convinced me I could “win.” My blood pressure is down and my positive outlook is up! Thank you Rolling Strong. 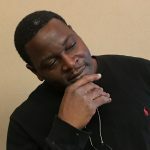 Since talking with the Rolling Strong CDL Wellness Coach, my eyes and mind have been opened to a better and healthier lifestyle. I will begin taking better care of myself and managing what I eat. They say what you put in is what you get out! I will start putting “good” in, so my return will be good! Thank you Rolling Strong. John worked with Rolling Strong Wellness Coach Kasey to find ways to lower his blood pressure. They worked together to set a goal for John to monitor and limit his daily sodium intake to 2,000 mg or less. 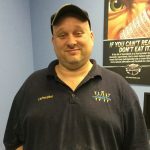 John was able to accomplish this goal by reading the labels on his food and spreading out his sodium consumption between meals to stay under his goal. Within three weeks, his systolic blood pressure had decreased by 12 points and his diastolic blood pressure reduced by 3 points. 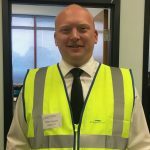 John has also been working to manage his time more efficiently and driving shorter days which he says has helped him reduce work stress significantly. This goes to show that by making your own physical and mental health a priority, you can see great results! Great work, John! Keep it up! 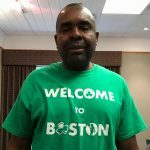 Gregory has lost 25 lbs since October with the help of Rolling Strong. He stopped drinking soda and now gets the proper water intake daily to help with hydration and decreased calorie intake AND he moves more! He has made new health goals with the Dallas Rolling Strong coach and will check back in a couple of months to check on progress. 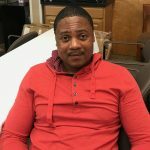 CJ has lost 42 lbs so far on his journey to better health. He eats a healthy diet, including more vegetables, some fruit, and less bread/pasta/sweets. CJ has given up sodas and drinks only water now. 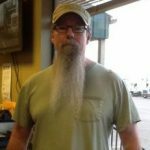 He uses his FIT System every day and walks around his truck 50 – 60 times a day! Way to go, CJ! 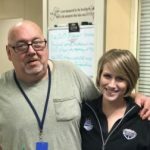 Greg has been working with Rolling Strong CDL Wellness Coach Kasey to lose weight and lower his blood pressure. In the past 4 months Greg has successfully accomplished both. The biggest change he made was eliminating processed sugars and packaged foods from his diet. He says his dinners now consist of a healthy protein, vegetables, and whole grains. He also makes healthy choices when going out to eat, and practices portion control. He has decreased his soda consumption and exercises for 30-45 minutes at least twice a week. Greg says he was tired of the ups and downs of traditional dieting and that consistently choosing healthy, whole foods feels so much simpler and more natural. Great job! These are fantastic improvements! Since listening to the Rolling Strong presentation I have begun to rethink how I respond to stressful situations and the overall impact to my health. I am accustomed to living in a fast-paced environment. Living in this type of environment can be overwhelming. Living at a fast pace has affected my health in profound ways. Stress has increased my blood pressure and caused me to have headaches and feel fatigued. I plan to implement the meditation and calming techniques demonstrated during the W.E.L.L talk into my daily regimen. I believe this will have a positive effect on lowering my blood pressure, clear my thinking, and reduce headache occurrences. My goal is to function better and focus on living a healthier lifestyle. Thank you Rolling Strong! 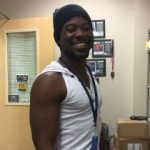 Ron worked with CDL Rolling Strong Wellness Coach Kasey to find ways to relieve his persistent muscle stiffness. Coach Kasey showed Ron some stretches he can do daily to help him with lower back and neck stiffness. Ron started implementing 5-10 minutes of stretching into his morning routine. He says, “I feel like I can move. I’m not so stiff and sore every day anymore.” Great work Ron, way to set aside time each day for your well-being! Andrea worked with Rolling Strong Wellness Coach Kasey to find ways to make switches to a healthier diet and to lower her blood pressure. 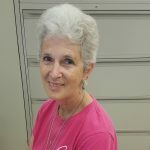 Andrea has been monitoring and limiting her daily sodium intake to meet healthy guidelines and reduced her soda intake from 4 cans per day to 1 can. 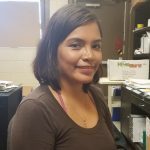 Andrea switched from eating mostly beef to mostly chicken and has been working to include more vegetables in her daily diet. In addition she now cooks using olive oil as opposed to butter. As a result of these great changes her blood pressure has decreased by -21/-8 in just over a month’s time! 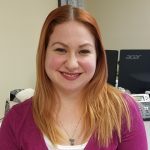 She says that the guidance and advice she received from Wellness Coach Kasey has been a great resource to her and she feels that she can make these changes last. Keep it up! Ryan worked with Rolling Strong Wellness Coach Kasey to lower his blood pressure. After discussing his usual diet with his coach, he decided to cut back on the coconut oil he was using to cook his dinner each night. As a result, he was able to lower his systolic blood pressure by 13 points! Great job, Ryan! Small changes can produce big results! Lucious has lost 10 pounds in the past 3 weeks by simply improving his diet and practicing portion control. He focuses more on eating whole foods instead of processed fast food, drinking water instead of sodas, and walking every day. 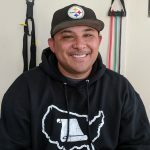 He believes the information he has received from his Rolling Strong coach has helped him to be more intentional about his health and wellness. 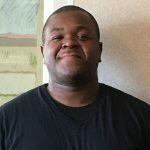 Charles worked with Rolling Strong Wellness Coach Kasey to find ways to make better choices and lose weight over-the-road. 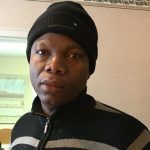 He has been eating smaller portions at meals and goes grocery shopping once a week so he can prepare food in the truck and avoid the food in truck stops and restaurants. Charles also cut back on soda consumption. He used to drink several bottles of Pepsi each day and he currently drinks one or less. As a result of these changes, Charles has lost 13 pounds in a little over five months. Great work and way to make small but meaningful changes! David has been working with Rolling Strong Wellness Coach Kasey to reduce his consumption of sugar sweetened energy drinks. He has successfully reduced his intake from one per day to one per week and is now down to one per month. As a result he has seen his weight come down and he says that he does not crave it now like he used to and he views it as a treat rather than a daily need. Great work, small changes provide big results! Slow and steady wins the race. Robin has been consistently checked in with Rolling Strong to make small changes to help with weight loss. She has lost 3 lbs since the first part of November 2017. She has incorporated a protein shake (Premier Protein) into her daily diet and walks around the bus each time it stops. 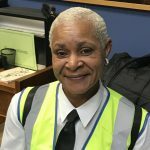 Her weight loss has been slow but she has created new manageable lifestyle habits that she is able to maintain while driving out on the road. Congrats. 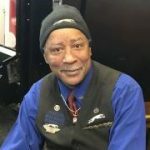 Melvin has lost 25 pounds and has cut his tobacco usage by more than half. He is drinking less than 1/4 of the sodas that he used to drink and has increased his water consumption to nearly 1 gallon per day. 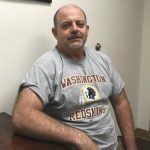 His goal is to lose another 75 pounds and to quit smoking altogether. “Rolling Strong is a great program if you follow it. Just take your coach’s advice. It’s all on you!” Way to go, Melvin! I’ve lost 12 pounds since November and my blood pressure has normalized by watching my portion sizes, exercising, and meeting with the Rolling Strong Wellness Coach every week. 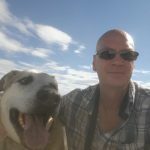 The Rolling Strong Program helped me a lot during my training at the Greyhound school. Before I rarely drank water, but after starting the wellness program with Rolling Strong I have increased my water intake which has helped me stay hydrated while driving. 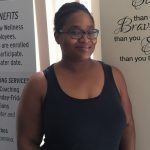 I have high blood pressure, our Rolling Strong wellness coach explained different health option to lower my blood pressure. Thank you for sharing this information and keeping me informed. Keep up the great work! Since the Rolling Strong W.E.L.L talk I have been eating smaller portions and learning portion control. Portioning the amount of food I eat has helped me not feel so tired and sluggish. Thank you Rolling Strong! During my Greyhound training, Rolling Strong provided the class with different techniques including meditation, portion control, and different exercises we can do while we are working (ex: when pre tripping our bus). I plan to use this information to help me with my weight loss plan. Rolling Strong has given me a better understanding on what I need to know relating to my physical, emotional and mental health. I am now able to address each of these areas in my life. Thank you Rolling Strong. Since the Rolling Strong presentation I have grown to understand my health better. I am even eating healthier snacks. It is going to be a process to make an improvement but I plan to stick with this program. I am now confident that I can make these changes in my health. Thank you Rolling Strong. The Rolling Strong W.E.L.L talk was very interesting. Our coach gave us a grocery list that I have been using to purchase groceries. I would like to keep myself healthy good in order to perform my job for a long time. Thank you Rolling Strong! After the Rolling Strong presentation I began using meditation techniques during stressful moments. I also learned the benefits of eating healthy and staying hydrated. I tried eating smaller portions and drinking more water and noticed that I was fuller longer and I didn’t feel sluggish like I used to feel. Thanks Rolling Strong! My body has really benefited from watching my portion size with food. I feel less tired after eating. I’ve increased my water intake and I am sleeping better. The advice our Rolling Strong Wellness Coached offered has also motivated me to exercise more. I do this by walking more, which has boosted my energy levels. Thank you Rolling Strong! The Rolling Strong program gave me information that helped me realize the importance of good health. I learned that not eating healthy can also affect my mental well-being as well as my physical health. Having good health plays a big part in the career I am about to take on. Thank you, Rolling Strong, for providing me with valuable information. The meditation exercise our Rolling Strong coach demonstrated during the W.E.L.L talk helped a lot. It relieved stress for me! Having a military background, I tend to over think many experiences. The meditation exercise was very beneficial in reducing stress during my training at the Greyhound school. During the Rolling Strong W.E.L.L talk, our Wellness Coach gave us a list of helpful tools to use throughout our Greyhound school training. Coming into this was new for me; I had never driven a bus before. I had never experienced such intense training like the training at the Greyhound school. Through it all, I used my meditation tools daily to reduce my stress which helped me along the way. Thanks Rolling Strong! 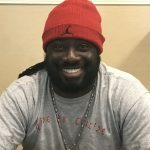 My Rolling Strong Wellness Coach taught a meditation technique that was really helpful. Anytime I began to feel frustrated at work or home, I would use it to help me relax and get focused. Thanks Coach! For the past couple of years I have been trying to get back to my “original size.” A few things I have tried worked and a few didn’t. After gaining knowledge from the Rolling Strong program, I have been able to maintain my weight. I am using the methods and techniques taught during the W.E.L.L talk to focus on my energy in a positive way. Thank you for an awesome program, Rolling Strong! 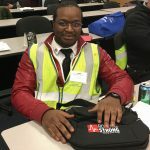 William immediately enrolled in the Rolling Strong Wellness Program after seeing a presentation during orientation in December of 2017. After one session of coaching, William had the push he needed to change. He set goals to reduce his blood pressure by losing weight, exercising, and eating healthier. 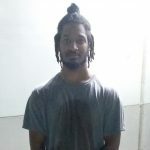 His new daily routine includes walking 1.5 miles, tracking his steps on his phone, using elastic resistance bands, and doing steps-ups, sit-ups, push-ups and squats. He has increased his water intake from none to at least 5 water bottles, and reduced his coffee intake. Switching from a big dinner to a big breakfast instead, and eating healthy snacks is now the routine. His latest results showed that he has reduced his weight by 9 pounds, lowered his systolic blood pressure by 35 points, and lowered his diastolic by 2. 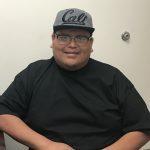 After seeing such great results he is even more motivated to reach his ultimate goal, and looks forward to checking in with the Rolling Strong coach. Great job and keep it up, William! While on the road, Brian keeps his activity level up by walking at least 2 miles every day. He mainly drinks water and eats lean meats and fresh vegetables. He has cut out French fries and fast food. He also utilizes the fitness center while at yard and enjoys working out. By incorporating these lifestyle changes, Brian has lost 6 pounds! He encourages other drivers to be healthier. Eddie has lost 13 pounds by eating several small, low-sugar/low-sodium meals every day. He drinks 6 to 8 bottles of water each day, and exercises for 1 hour 2 to 3 times per week. 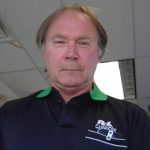 Eddie says, “Rolling Strong gave me the incentive to eat right and to lower my sodium and sugar intake. I am so thankful!” Way to go, Eddie! 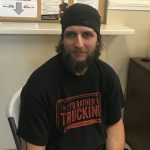 Kevin has been working with Rolling Strong CDL Wellness Coach Kasey to improve his hydration and manage blood pressure. He has increased his daily water intake by one bottle and his hydration has improved. Kevin also got rid of his salt shaker and no longer adds salt to his foods. 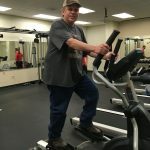 As a result of these changes, along with 20-30 minutes of using a kettle bell and resistance bands every other day, Kevin’s systolic blood pressure has decreased by 9 points and he has lost a few pounds as well. Great work Kevin, these small steps will continue to add up to big change! Steve has maintained his weight since going through orientation back in October of 2017. His systolic number has improved by dropping 23 points over the past five months. He set a small goal with the Hutchins CDL Wellness Coach to walk for at least 10 minutes each time the truck stops. He has exceeded that goal by now jogging for at least 10 minutes at least once a day to get his heart rate up quickly and burn a few calories. He is also making his own trail mix with raw nuts, raisins, and dark chocolate semi-sweets. These small changes have improve Steve’s health. Keep up the good work! Josh has lost 33 pounds over the past 6 months by eating less fast food and preparing his own meals. He eats mostly vegetables and lean proteins and has cut out nearly all processed carbs such as bread and pasta. He exercises at least 5 times per week and has stopped drinking sodas and sugary drinks. Way to go, Josh! Logan has been working with Rolling Strong CDL Wellness Coach Kasey to make positive changes in his drink choices. He has raised his daily water consumption by more than double and is working to reduce his soda consumption. Logan says he uses low calorie/low sugar flavor packets to help him drink more water and less soda. Keep it up, these small changes will add up over time! Jeffrey has maintained his weight while driving out on the road. 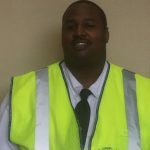 At his last check in with the Rolling Strong CDL Wellness Coach 5 months ago, he set small goals and continues to hold himself accountable. 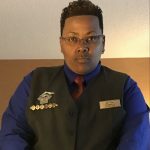 He has been walking 2 miles at the hotel after his shift and does push-ups and sit-ups on a daily basis. He plans to continue with his new healthy habits to help him reach his goal weight. Keep up the great work. 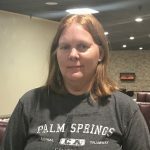 Two years ago I was consuming lots of sodas, juices, coffee, and junk food, but since I met with the Rolling Strong CDL Wellness Coach I have changed my habits. It was hard to leave all the sodas and juices but now it is easy to grab a bottle of water. I feel healthier! In 2011 I weighed 300 lbs and had to make a big life change due to my weight and unhealthy lifestyle. 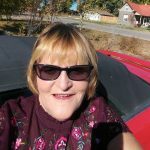 I was diabetic for many years and I didn’t know how to eat right at all. I had a gastric bypass surgery in 201. After my surgery, I had to learn how to eat healthy and watch my caloric intake. During a presentation from Dawn Harrison with Rolling Strong, it made me think twice about what I intake on a daily basis. If you follow Rolling Strong’s program, it will most definitely help you make better food choices. The daily exercise program really helps me maintain a healthy life style. Dawn was amazing and very helpful. I appreciate learning new things to live a healthier life for myself and my family. Thanks Rolling Strong! 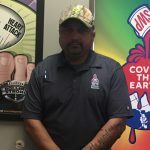 Mike has been working with Rolling Strong CDL Wellness Coach Kasey to shift his beverage choices away from soda and toward water on a daily basis. 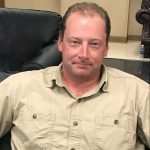 He has successfully cut his soda consumption down to one third of what it used to be and drinks one gallon of water each day instead. He also decided to quit adding salt to his food and make more low-sodium choices. As a result, Mike’s systolic blood pressure has decreased by 38 points in the past four months. Great work! Keep making more healthy swaps! 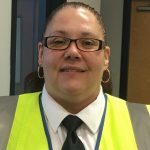 Carma has lost 20 pounds since going through orientation in February. 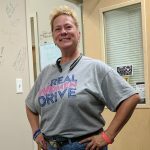 She set several health goals with her Rolling Strong CDL Wellness Coach and has lost weight while driving out on the road. She has been cutting back on sodas and sweets, has increased lean sources of protein, and is consuming smaller meal portions. At meal time she orders off the 55+ menu. She says her only problem now is finding clothes that fit! She also parks far away from the TA station and walks at a moderate pace to help pump her heart and burn extra calories. She is back at Hutchins checking on what progress she has made, signing up for the new Rolling Strong APP and setting new goals. 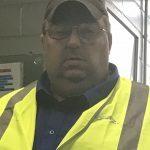 Mark has been working with Rolling Strong CDL Wellness Coach Kasey to cut back on his soda consumption. Over the past month he has cut back from 1 or more sodas per day to only 2-3 per week. He also switched to drinking mini cans rather than bottles so he can have the flavor and carbonation without the temptation to drink too much. He now drinks a cup of black coffee each morning and mostly water throughout the day to keep his energy levels up. Great work, Mark! Keep it up! I was out service for over two months dealing with my sleep apnea. I had no doubt that I had gained more than my share of extra pounds. 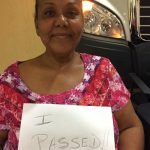 When I began driving again, I contacted my CDL Wellness Coach. 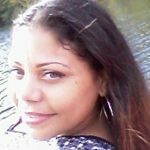 She gave me great advice as to what I needed to do to get those extra pounds off and more. I don’t really like to drink water, but my coach didn’t chastise me like most people do. She told me to take it slow and try to increase me water intake as much as possible. As I started drinking water a little more than normal and following her suggestions, I found myself able to touch my toes again and I had a little more room in those pants. I’m not where I would like to but with her help and encouragement I will get off the CPAP machine! 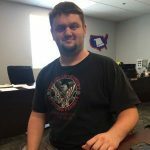 Matt has been working with Rolling Strong CDL Wellness Coach Kasey to increase his physical activity and exercise levels. Together they set a goal for Matt to use his FIT System resistance bands 3-4 times per week. He has gone above and beyond and uses them 6 days per week for 30 minutes at a time. He says once he got into the habit of exercising daily it became a lot easier. Way to meet the recommended amount of weekly activity! Keep it up! 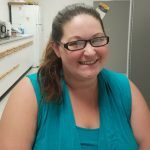 Jen has been working with Rolling Strong CDL Wellness Coach Kasey to make changes in her daily health habits and move toward living a healthier lifestyle. She made important diet and beverage improvements by incorporating vegetables into daily meals, prepping breakfast the night before to save time, and tracking water intake to ensure proper hydration. 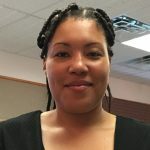 She strives to incorporate 30 minutes of exercise 3-4 times per week and even joined an online wellness program to help keep her on track. Sleep has also become a priority for Jen and she has set and kept a sleep schedule consistently. As a result of these changes, she has seen her weight go down and energy levels go up. 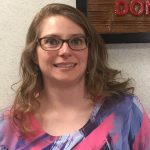 Jen says that having a Rolling Strong CDL Wellness Coach as a resource has helped her pinpoint areas needing improvement and brings a sense of accountability to meet her goals. Great work, Jen! 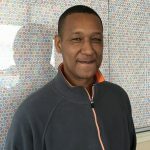 Ernest has lost 13.6 pounds in four months by increasing his activity level and choosing more vegetables and lean meats. He has also increased his intake of water and decreased consumption of caffeine and sugar. Way to go, Ernest! Thomas has lost 40 pounds over the past 6 weeks by adopting a healthier diet and lifestyle. He eats primarily lean proteins and vegetables, limits his snacking to a few nuts per day, and has eliminated nearly all sugars from his diet. 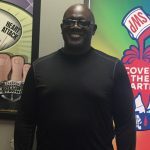 He is grateful for the coaching he has received from Rolling Strong and is well on his way to meeting his overall goal of losing 100 pounds. Way to go, Thomas! 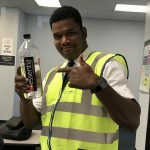 Hanif has been working with Rolling Strong CDL Wellness Coach Kasey to cut back on soda and improve his hydration. He has successfully decreased his soda consumption from one per day to one per week or less! He also increased his water intake to 5 bottles per day, which improved his hydration status reading on the health check station. Great work! 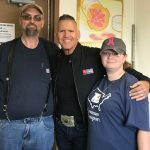 Roy worked with Rolling Strong CDL Wellness Coach Kasey to lose weight. 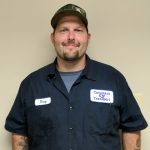 When he started driving for Don Hummer Trucking, he was very excited to have a refrigerator in his truck that would allow him to keep fresh and healthy food with him on the road. He eats low-fat and low-sodium meat and lots of salad and veggies. 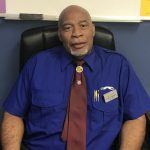 He stops at Wal-Mart frequently to grocery shop and keep healthy choices on hand. He stays active by parking far out at truck stops and goes for 2-3 mile long walks to help pass the time during his 34 hour resets. Over the past 5 months, Roy has lost over 35 pounds! Awesome job, keep up the healthy habits! 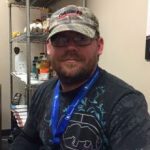 Jason worked with Rolling Strong CDL Wellness Coach Kasey to make better drink choices for his health. He cut his weekly soda consumption down by half and has been choosing water instead. Regular exercise and portion control has helped Jason to lose a few pounds as well. Consistency is key! Victor is maintaining his weight and a healthy blood pressure while driving out on the road! 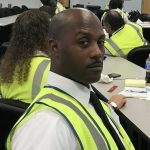 He checks in with his Rolling Strong CDL Wellness Coach to help keep him accountable. He has set several small goals such as cutting back on junk food and decreasing meal portion sizes. These two simple goals have helped him not to pack on extra weight while driving. Keep up the good work! 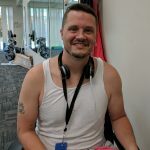 Greg has been making great progress on his health goals while consistently checking in with Rolling Strong CDL Wellness Coach Kasey to track his progress. He has removed almost all processed food from his diet and has stopped going out to eat. Along with eating only homemade food, he has cut his soda consumption down to less than half of what it was before. He has replaced soda with water and drinks 60-80 ounces each day. As a result of these modifications, Greg has lost over 10 pounds since the beginning of the year! Greg exercises 2-3 times per week using his own exercise equipment and says that once the weather is nice he and his wife plan to enjoy a daily walk around the neighborhood together. Awesome work, Greg! Keep it up! Atila has lost 47 pounds with the help of Rolling Strong. She said she is trying to be healthier and wants to live to see her baby girl grow up. Atila has been exercising to help with weight loss by walking 30 minutes on the treadmill three times per week. She also includes a lot of colorful veggies at meal time each day while driving out on the road. She has decreased her simple carbs and stress levels. These small changes have added up over time. Congrats! 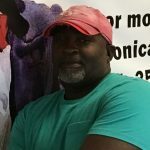 Gregory has lost 14 pounds by giving up soda and increasing his water intake. 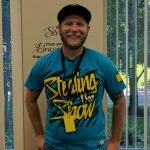 Jason has lost 16 pounds with the help of Rolling Strong. His focus has been on improving his health while out on the road. He is drinking lots of water each day to help him stay hydrated and keep his calorie count down. He is consuming less fast food and has incorporated healthy snacks such as apples and protein bars into his daily routine. Jason also tries to move his body as often as he can while out on the road. He also exercises when he is home. Great work, Jason! My Rolling Strong wellness coach has helped me with improving my eating habits and with lowering my stress. Thanks Rolling Strong! 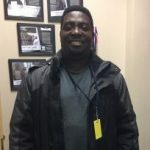 Darrell is a driver with Highway Transport and has been using the Rolling Strong app to lose weight and is down 15 lbs! He said that the app puts wellness at the forefront and it reminds him to keep going. He tracks all of his food through the app and tries to stay under his calorie goal. He also enjoys the driver exercises has tried them all. He uses the app to message Coach Dawn whenever he needs to reconnect and review is fitness goals. His goal is to lose another 40 lbs. Great job Darrell! I have quit smoking thanks to the tips that my Rolling Strong Wellness Coach Nancy has given me. She explained to me all the health risks of smoking and then helped me set goals to quit smoking. She has also helped me to start eating healthier. Candice has done it again! She has lost another 5 pounds with the Rolling Strong wellness program. She has been using the Rolling Strong app to log her calorie intake and track her health. 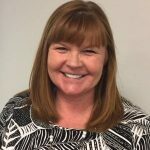 Her favorite feature on the app is the bar code scanner that provides her with nutritional information about the foods she is consuming. 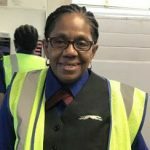 Congrats to this driver on improving her health! I started working with Rolling Strong Coach Cindy about 2 1/2 weeks ago. Following her suggestions along with my willingness to lose weight, I lost around 9 lbs my first week. Maintaining that weight loss and losing more weight to reach my goal is tough but with Rolling Strong’s help, I can truly see that this task will be much easier for me to accomplish. 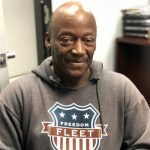 John Gardenhire – Fremont Contract Carriers, Inc.
John has been driving since 1989 and has maintained a healthy lifestyle by eating chicken, fish, staying away from fast food. He limits his sweets and treats. John also likes to listen to Kevin Rutherford on Road Dog Radio and is conscientious about staying healthy. He prepares for the week by going to Walmart and getting frozen vegetables, and rotisserie chicken. If he eats out he gets salads and stays away from burgers and any gluten products. 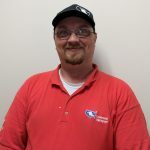 His advice to other drivers is to try to eat small meals during the day, stay away from processed foods, and stay hydrated with a lot of water. His favorite snacks are beef jerky, pork rinds, and nuts. 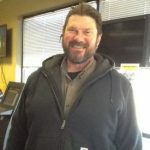 John Gardenhire - Fremont Contract Carriers, Inc. I always enjoy my Rolling Strong health coach visits; I always learn new ways or better choices to include into my healthy lifestyle. It can be as simple as a new recipe (almond chocolate chip cookies), more information on the benefits of HIIT workouts, or just a reminder about how bread and simple carbs can affect the body. Rudy has lost more weight while driving out on the road. He checks his weight each time a Rolling Strong health coach is at the Dallas terminal. His main changes for continued weight loss is decreasing his portion sizes, eating less fast food, and cutting back on soda intake. He has stayed consistent with his changes and the results are showing on the scale. Great job, Rudy! 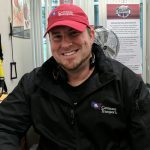 Daniel Zimmerman – Fremont Contract Carriers, Inc.
Daniel started casually using the Rolling Strong app and soon learned that he was in the running to win a prize in his company’s Rolling Strong competition. He uses the app’s tracking features to monitor his sleep and water intake. He also uses the Rolling Strong app to find exercises and to log his exercise. Because his company brought on Rolling Strong, he is doing more to better his health than he ever has. Daniel says Rolling Strong gives him more incentive and he is working toward being healthier and moving more. He has even won prizes from Rolling Strong for keeping up with his healthy new ways! Great work, Daniel! 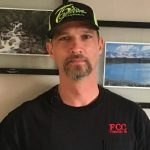 Daniel Zimmerman - Fremont Contract Carriers, Inc. In the 3 months I have worked with Coach Nancy, she has helped me tremendously. She’s taught me what to eat, what not to eat, and how to be mindful of eating slower. She has also educated me on the effects of smoking in the body and this helped motivate me to quit. I’m appreciative of the time she has taken to meet with me. Rolling Strong is a wonderful program! 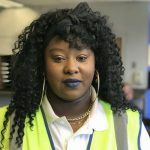 Daneisha has seen great improvements since limiting her soda intake. Before doing so, she would get intense migraine headaches but since giving up soda she has not had one. She also has more energy and feels better over all since replacing her soda intake in exchange for water. Working with Coach Nancy has been a pleasure! Her encouragement and guidance has lead me to lose 5 pounds and lower my blood pressure. I am confident I will reach my goals because of her faithful mentorship throughout my journey. Driving a semi truck and sticking to a good diet plan and exercise program can be difficult..there are many opportunities to eat the wrong food and the wrong quantities of food. Since starting Rolling Strong, I have been drinking the proper amount of water each day and have no desire for sugary drinks. I am truly amazed by the health improvements that drinking water has brought me: weight loss, better breathing, and feeling healthier overall. 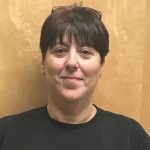 Thanks Rolling Strong for your program, and thank you Coach Nancy. I really want to reach my health goals. It is IMPORTANT! 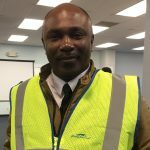 I recently attended the Covenant driver training school in Chattanooga, Tennessee. I was having trouble with my agility test to the point of failing. Covenant brought in Coach Norie from Rolling Strong. She gave me tips and showed me ways to complete the agility portion of the test. 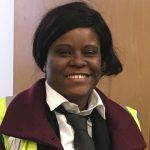 It was thanks to her awesome attitude and helpful tips that I was able to pass the test on my first attempt. I would definitely recommend Rolling Strong! Gary couldn’t walk long distances and would get out of breath just walking. 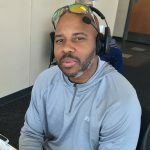 In April, he made a decision to get healthy. He cut out the fast food he was eating, cut out all soda, and got a gym membership to Genesis Health Club. He now weight lifts 3-4 times a week, drinks 80-120 ounces of water daily, has a shake or 3 boiled eggs for breakfast, packs a lunch full of protein and vegetables, and snacks on sweet and salty nutrition bars. 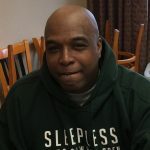 He uses the Rolling Strong app to earn points for his exercise, has linked the app to his Garmin wearable watch, and logs his sleep with the app. He works with Coach Norie to get additional points for checking in with a coach. Calling into a coach makes him feel like he has someone cheering him on and celebrating with him. He’s now down 25 lbs and doesn’t feel sluggish or get out of breath walking anymore. He also doesn’t feel like he needs to sleep as much now either. Great job Gary! Keep up the hard work! 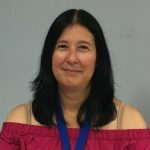 I have been working with Coach Nancy for 7 months. She calls me every week to check in and help keep me on track. Her encouragement and accountability has been such a huge help. I have lost 15 pounds and will continue on my journey!